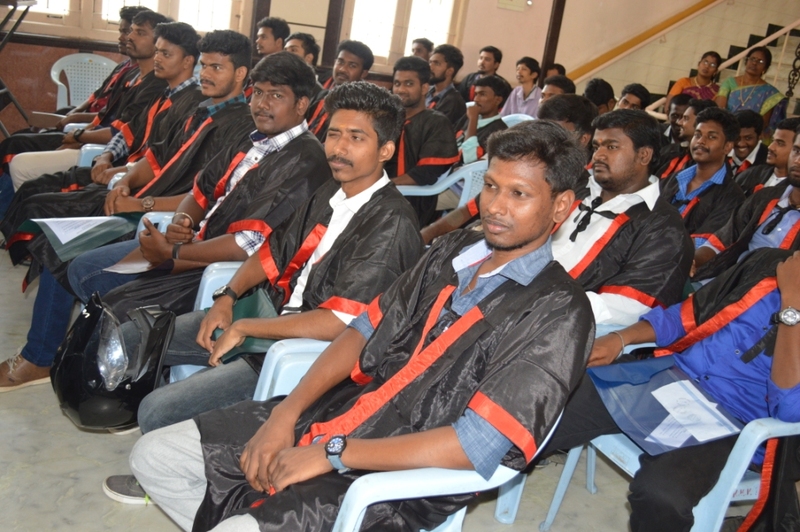 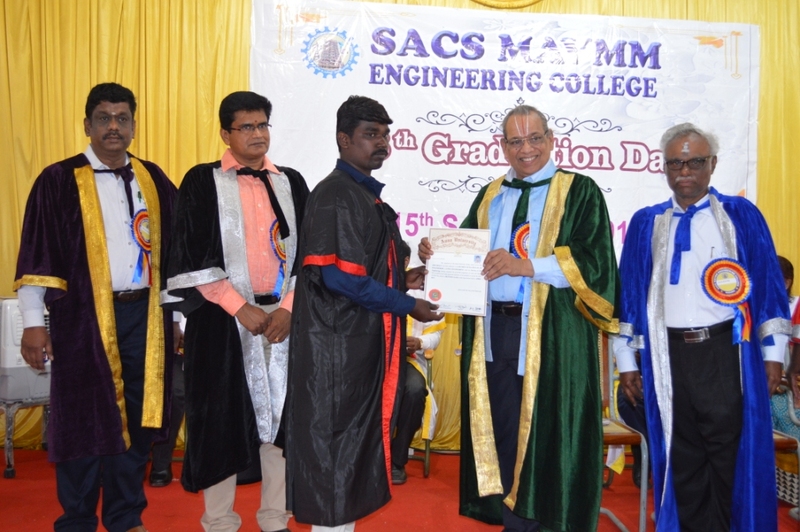 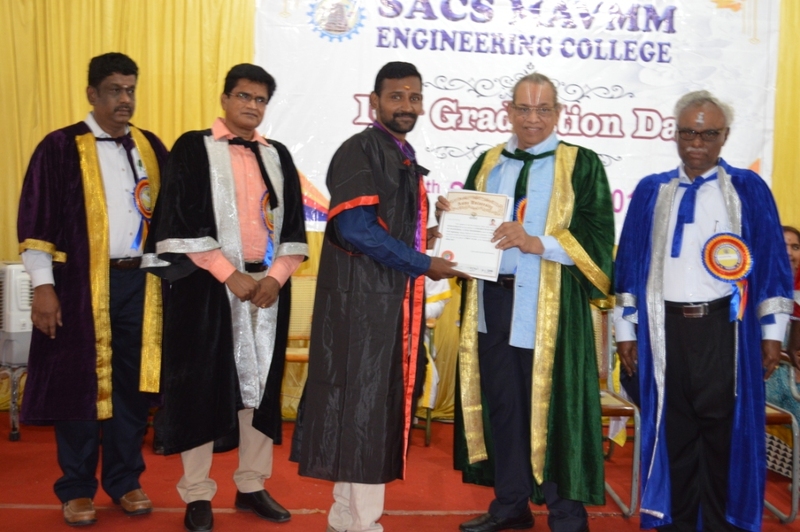 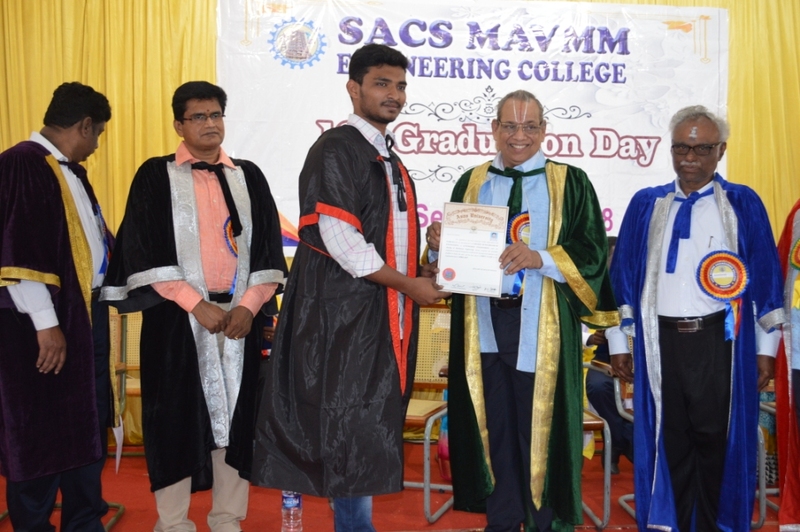 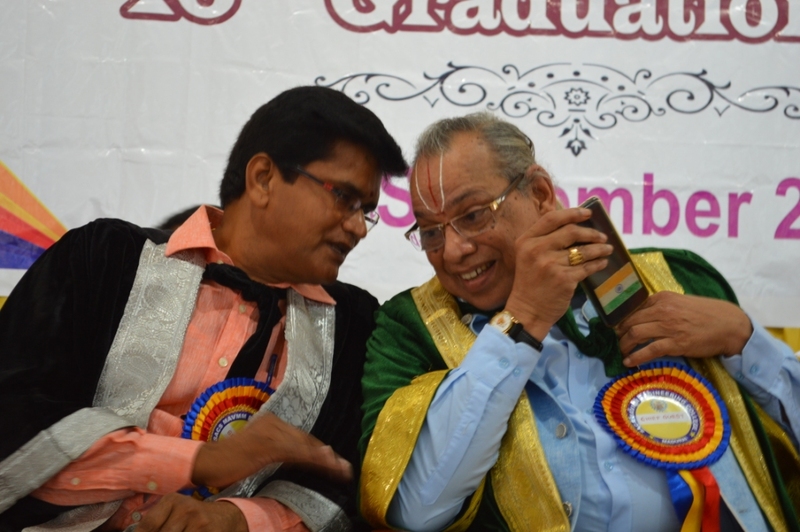 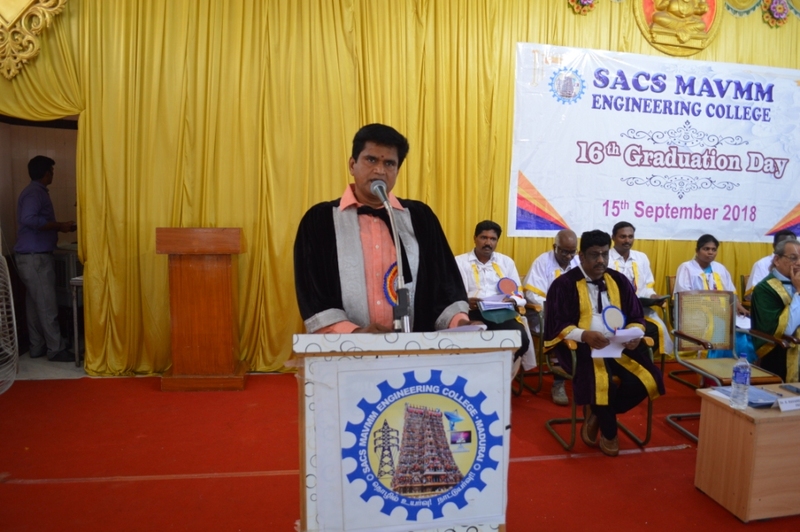 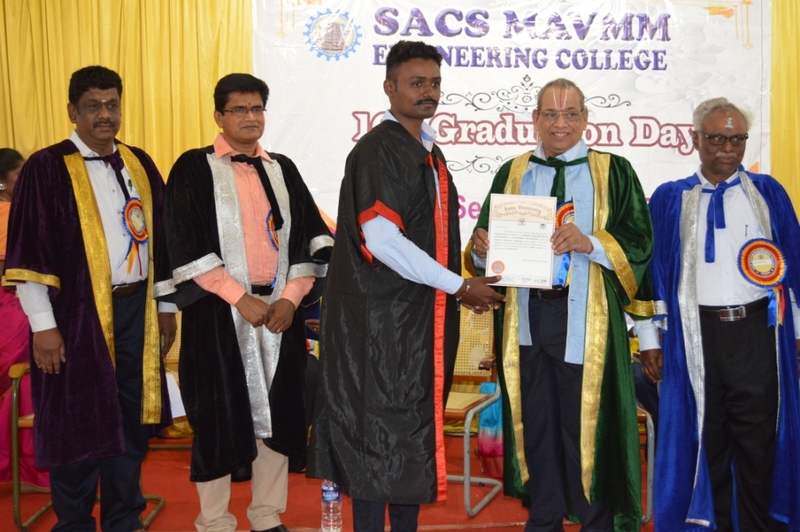 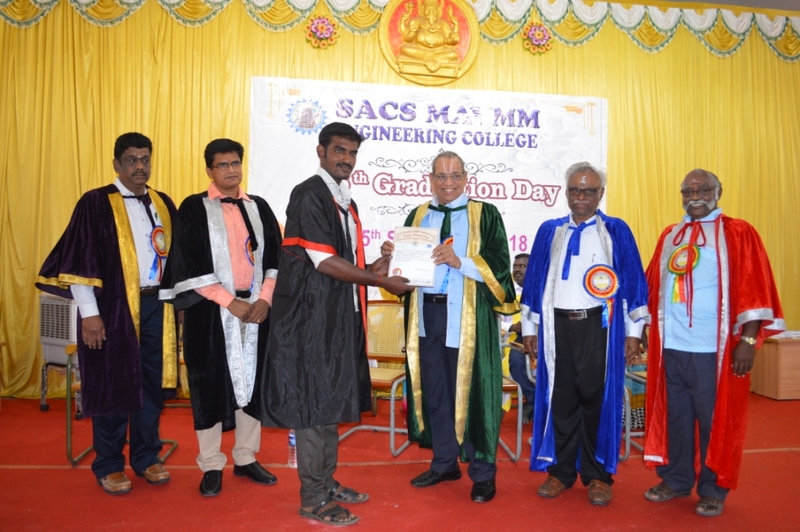 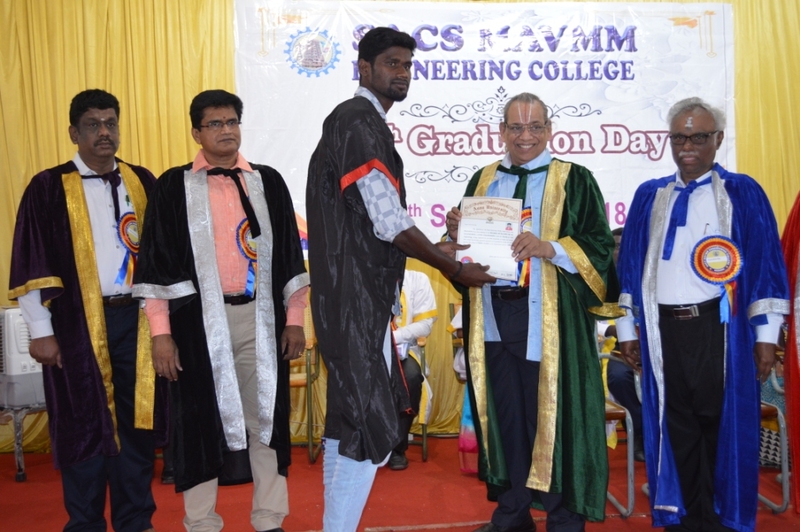 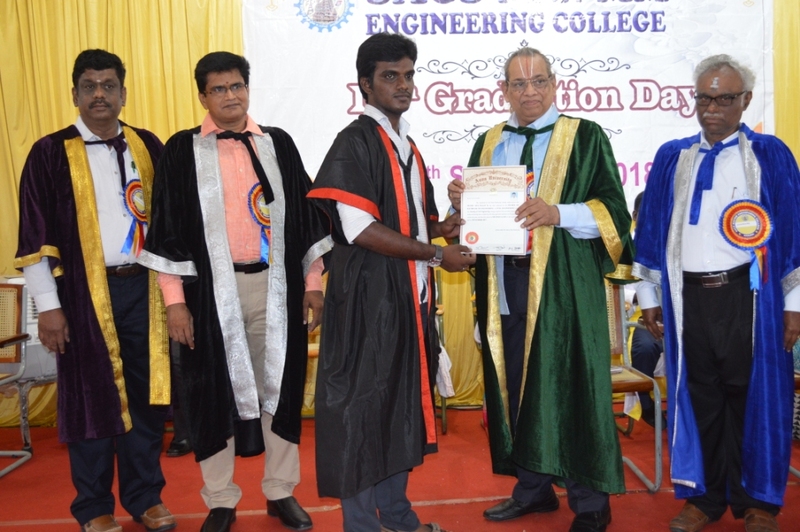 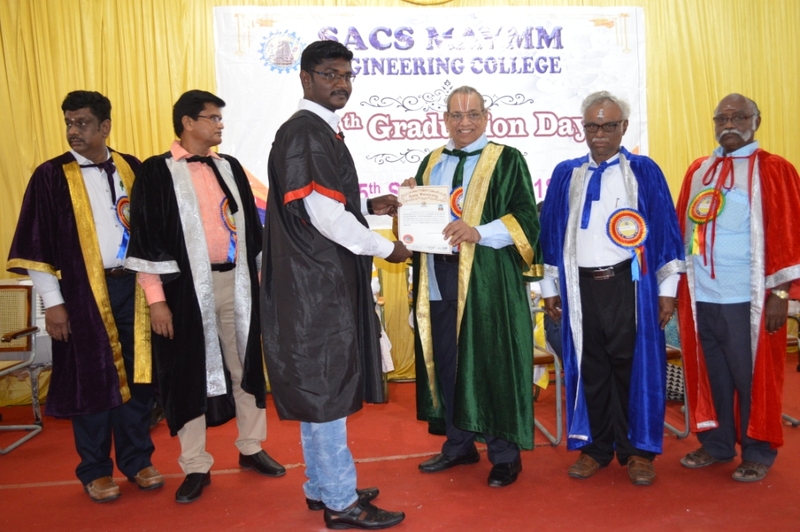 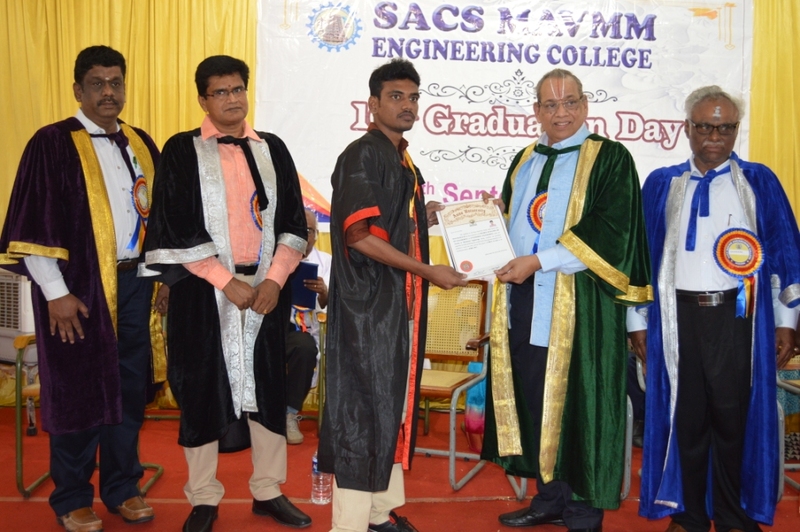 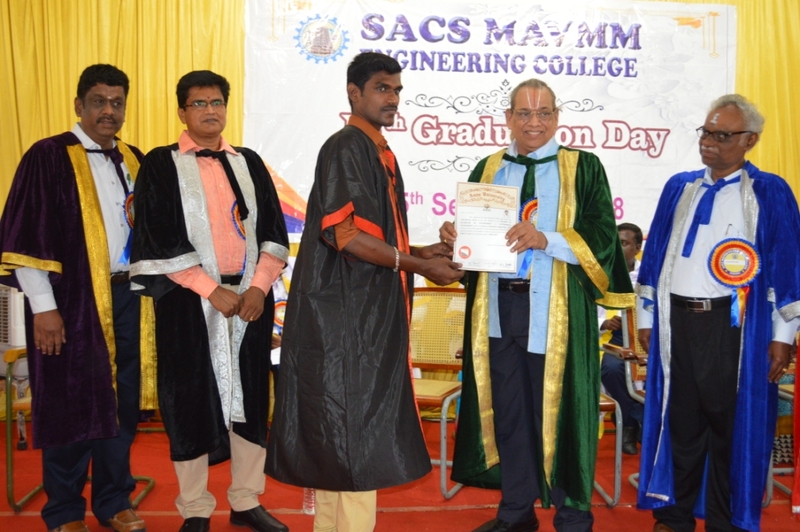 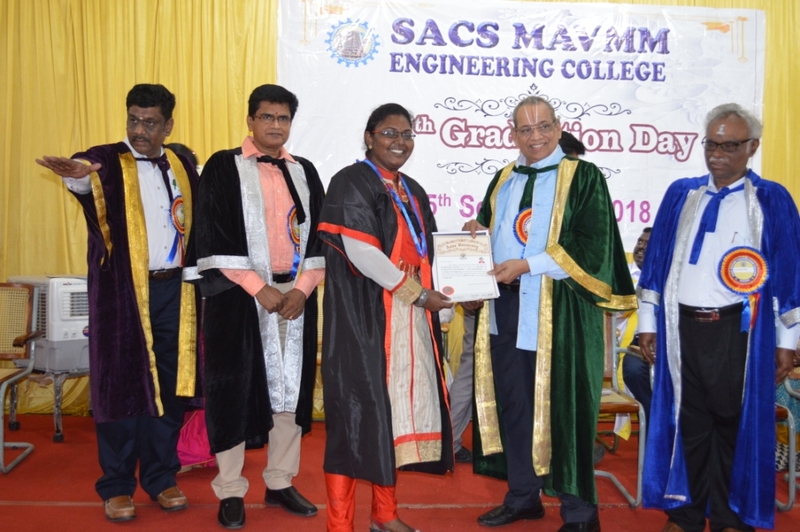 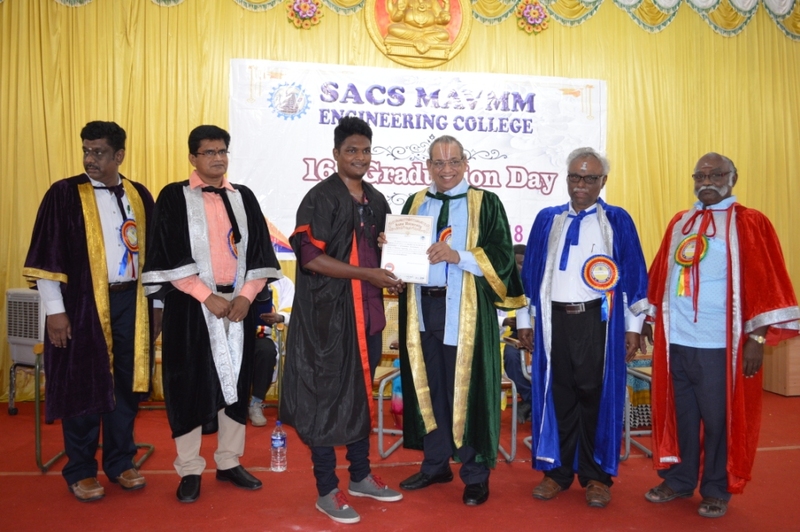 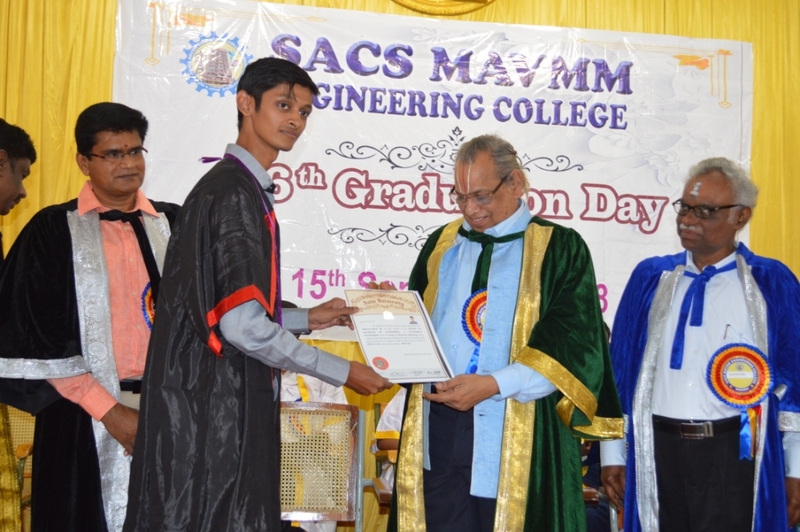 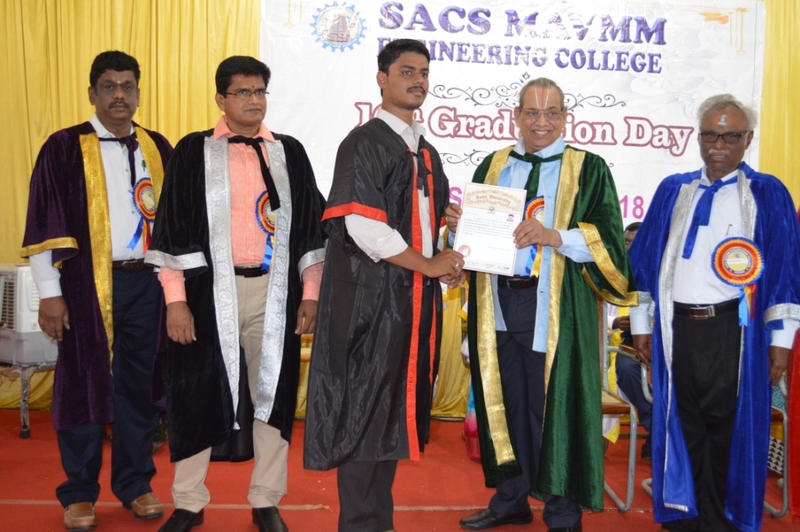 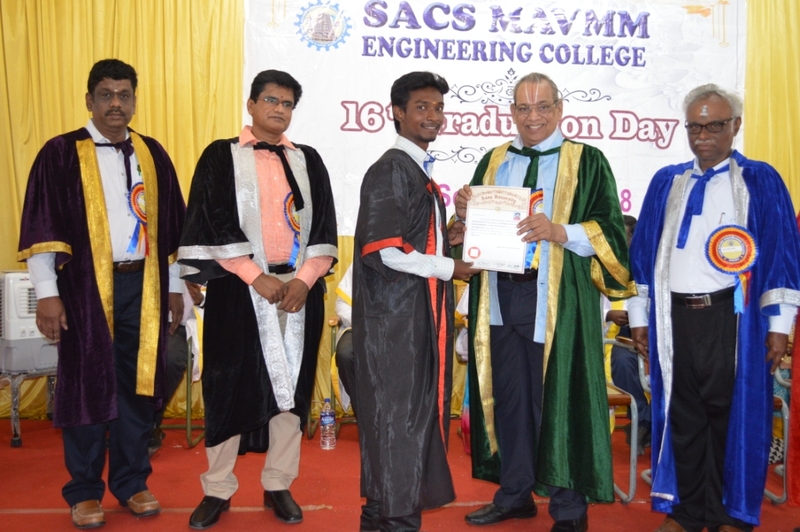 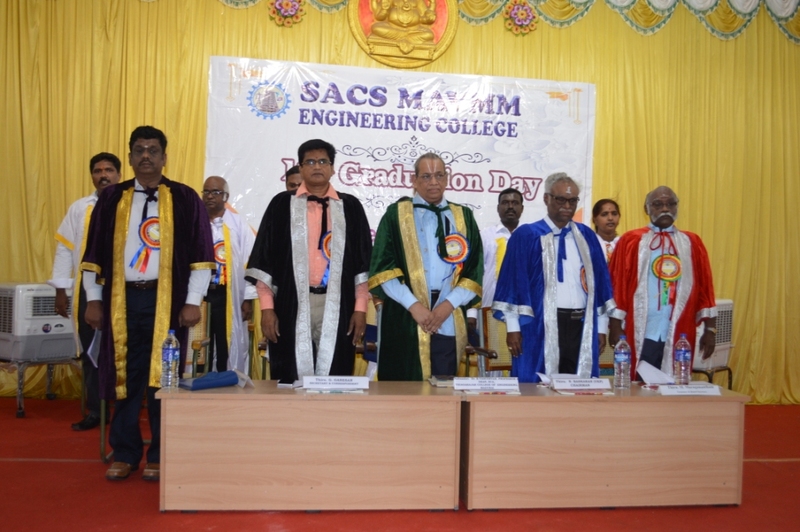 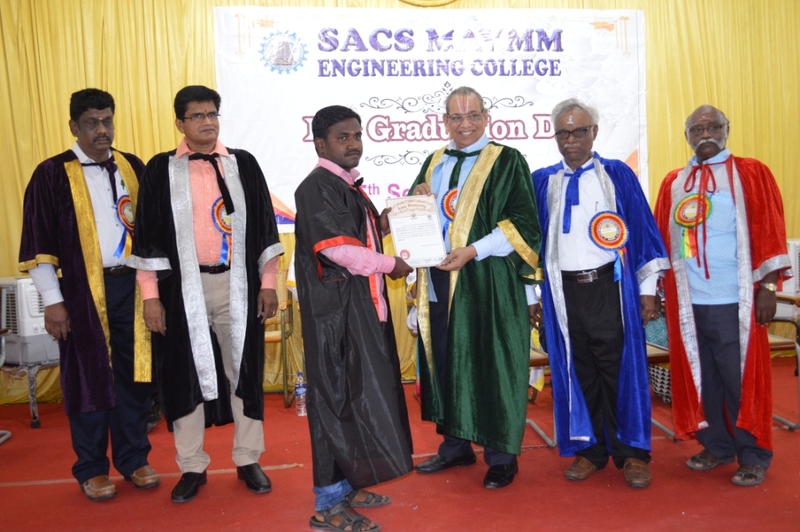 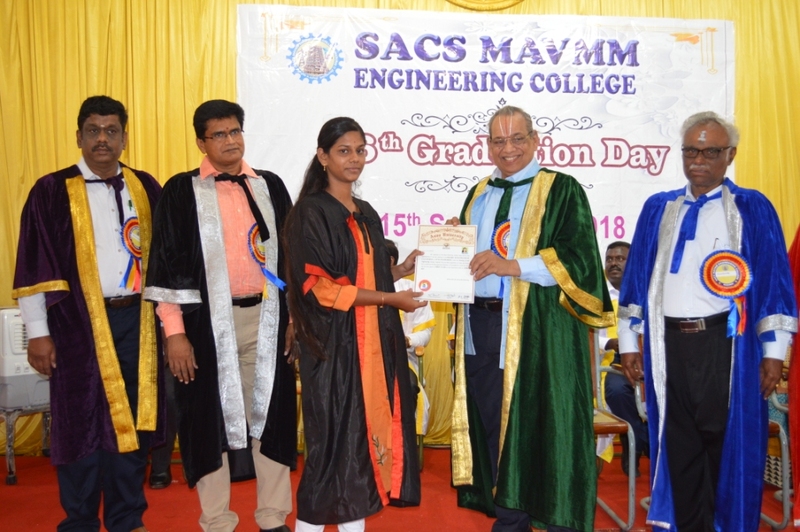 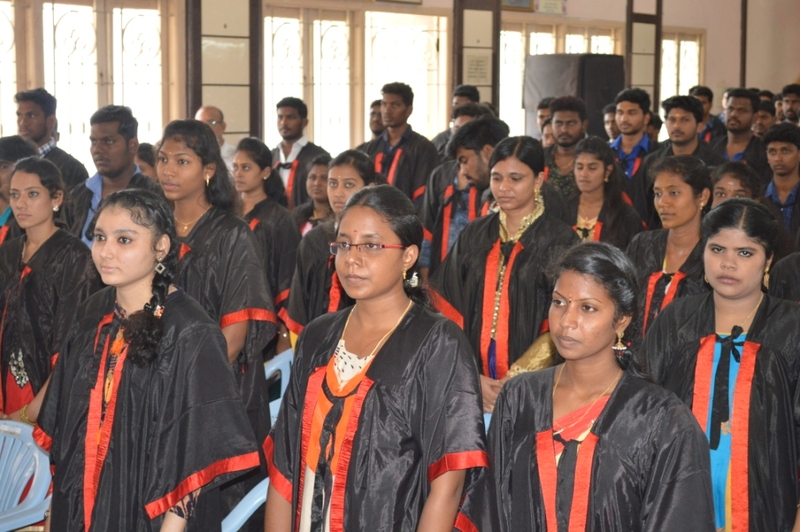 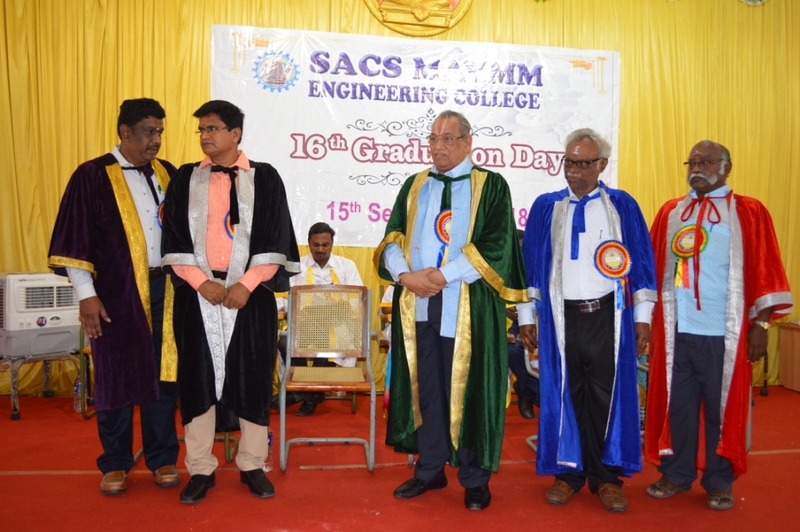 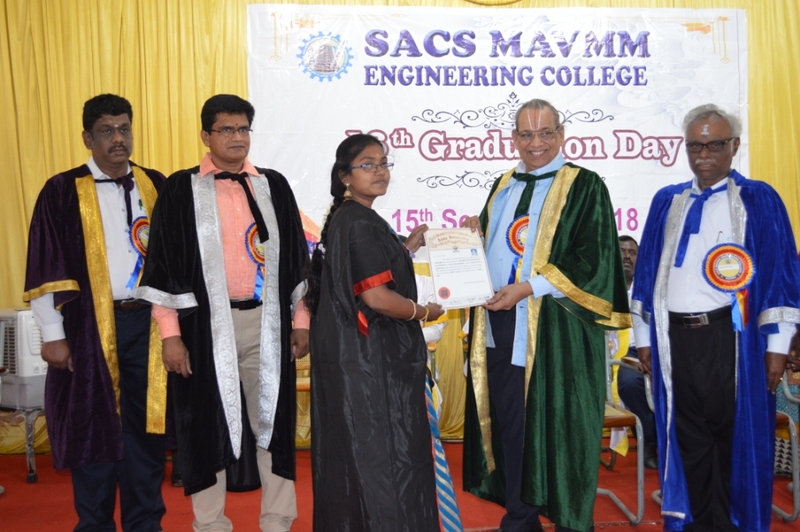 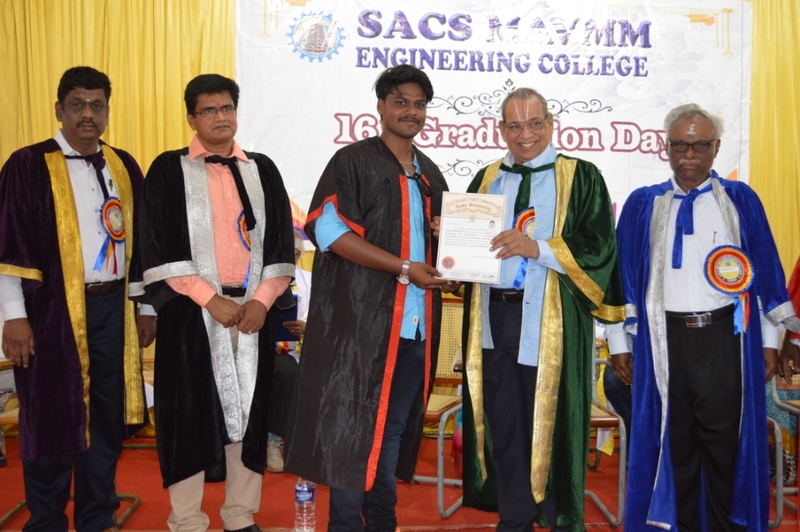 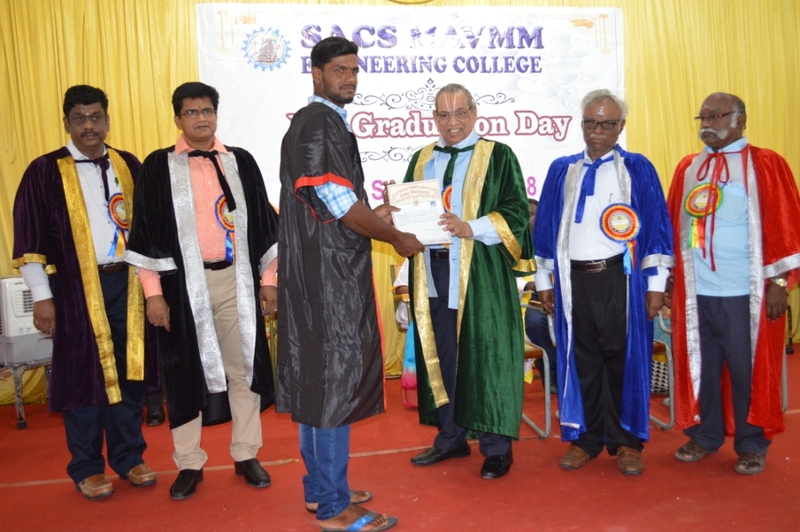 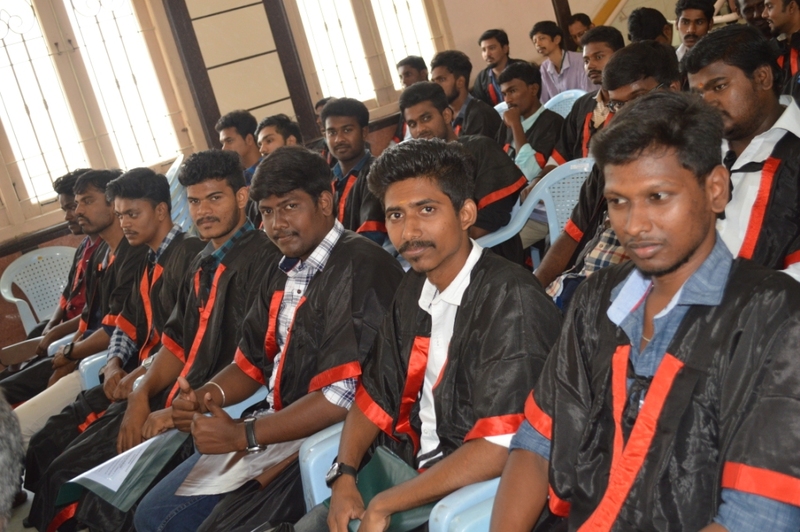 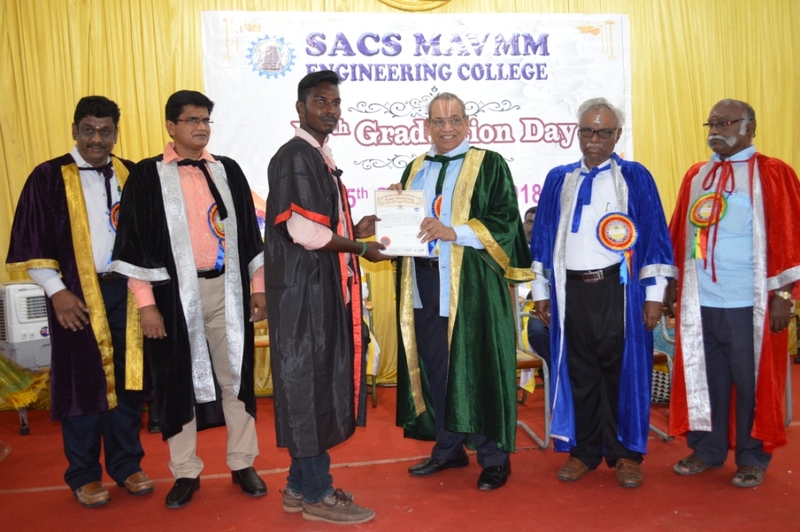 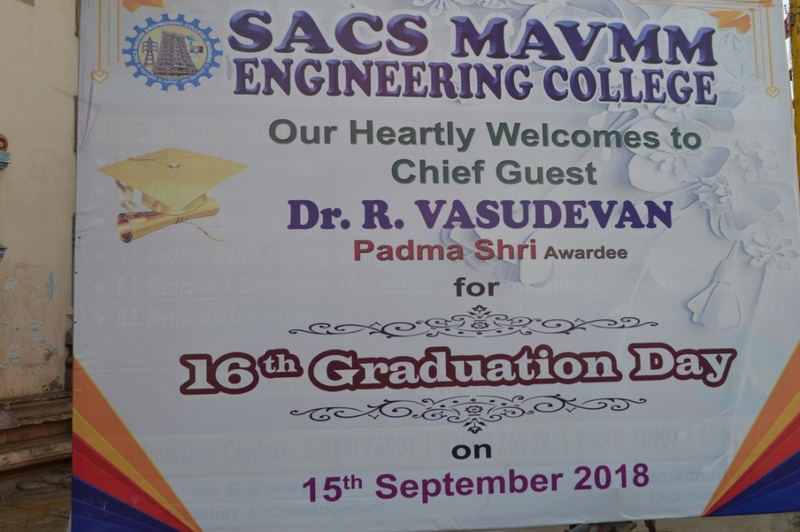 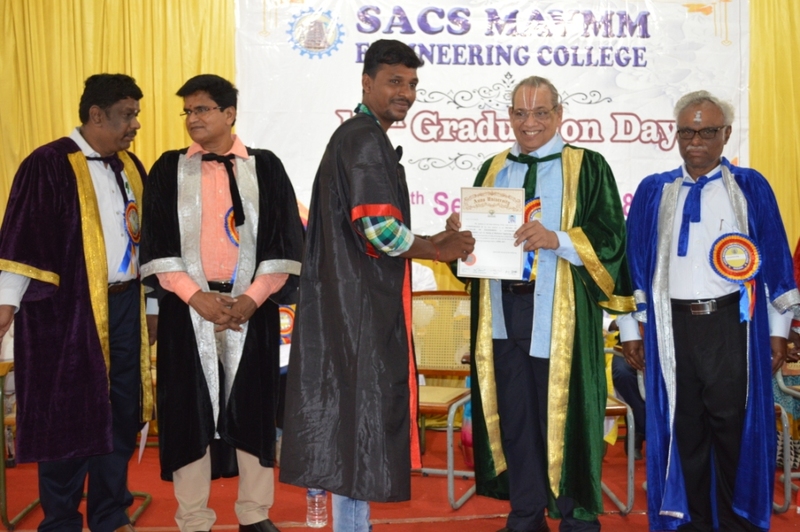 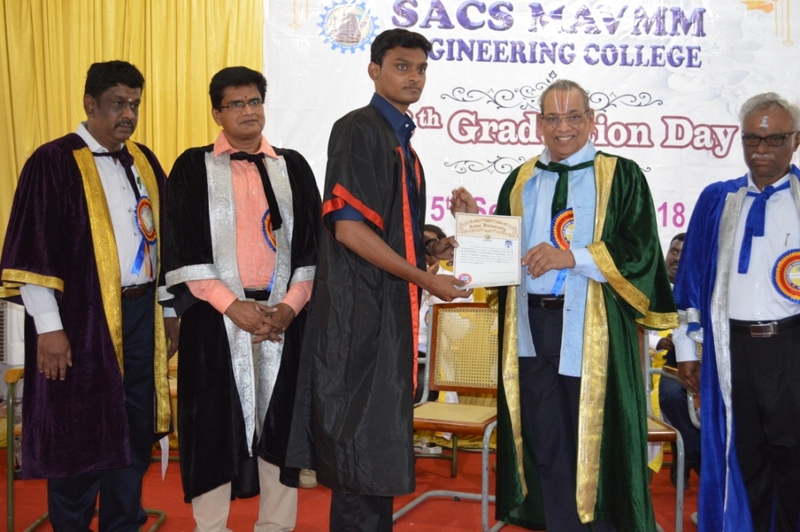 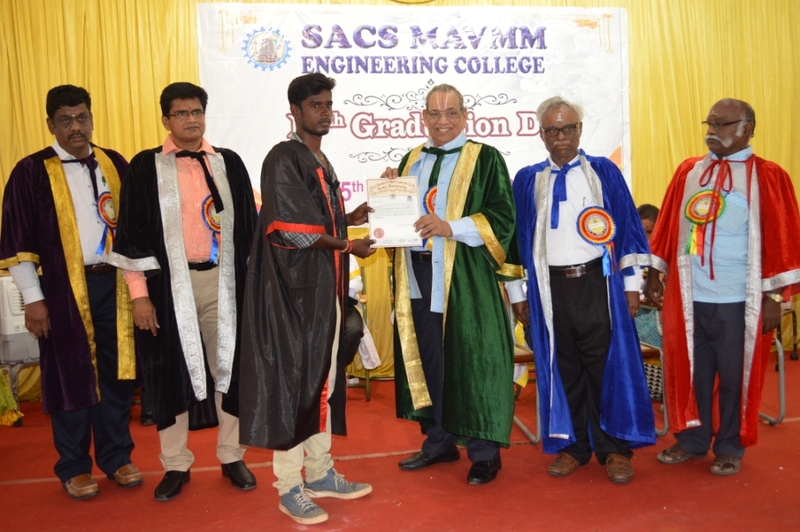 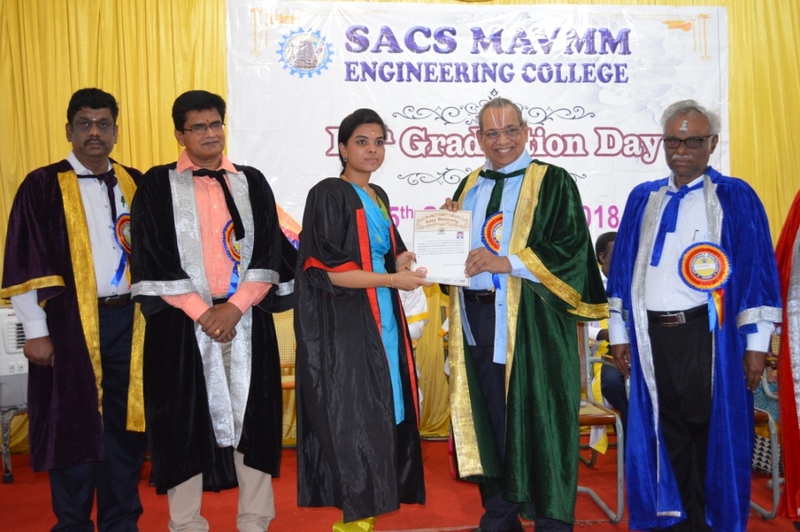 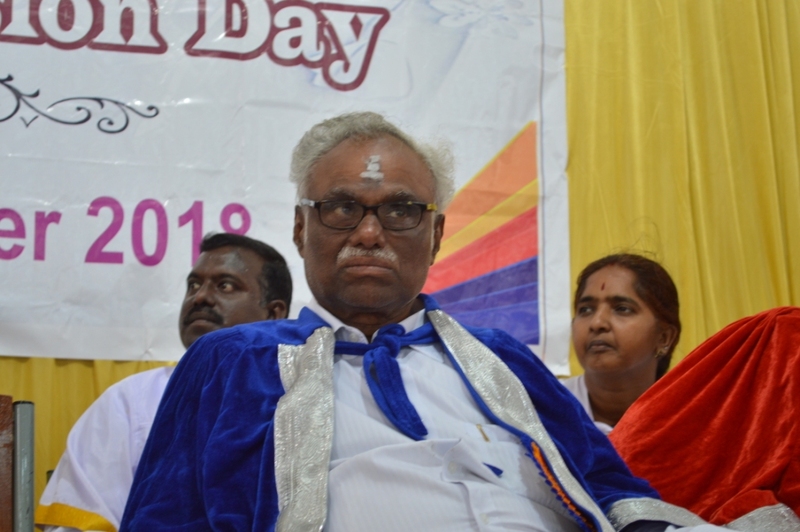 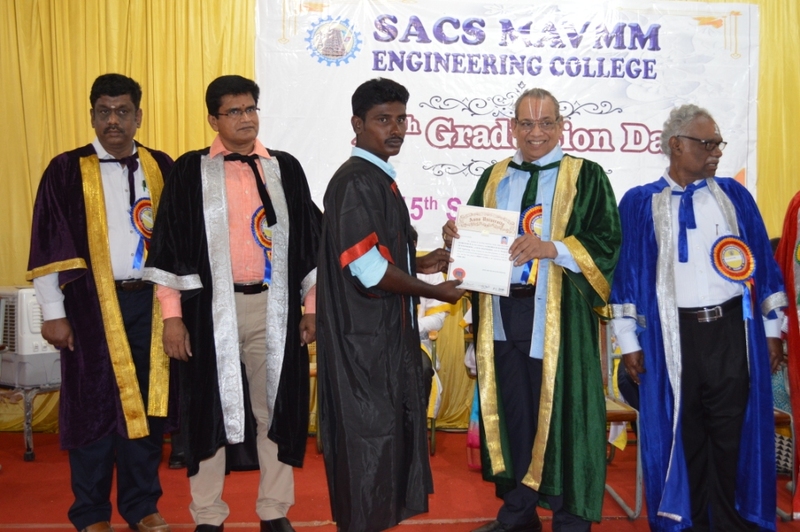 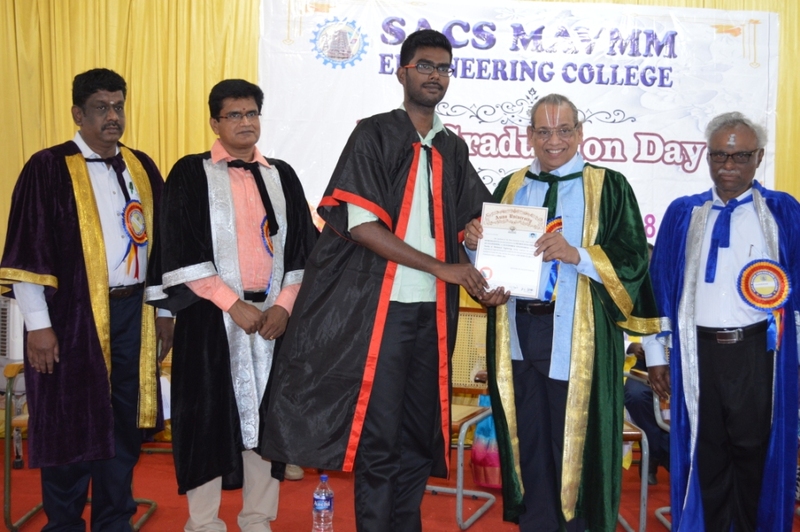 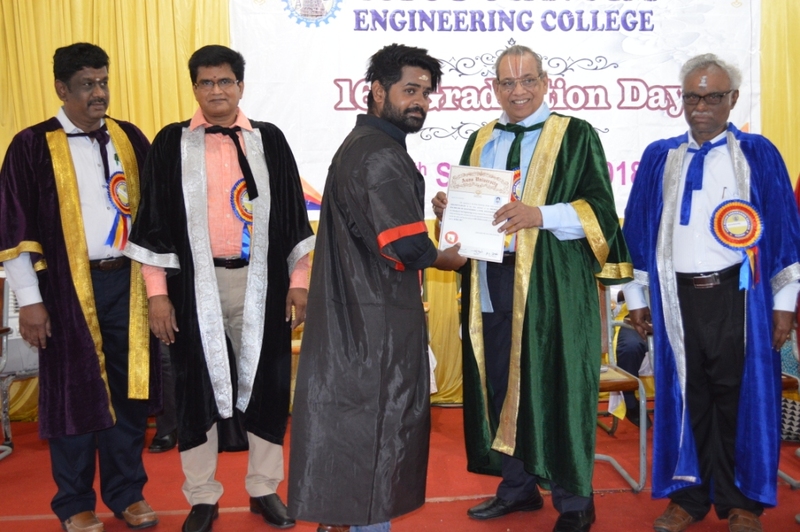 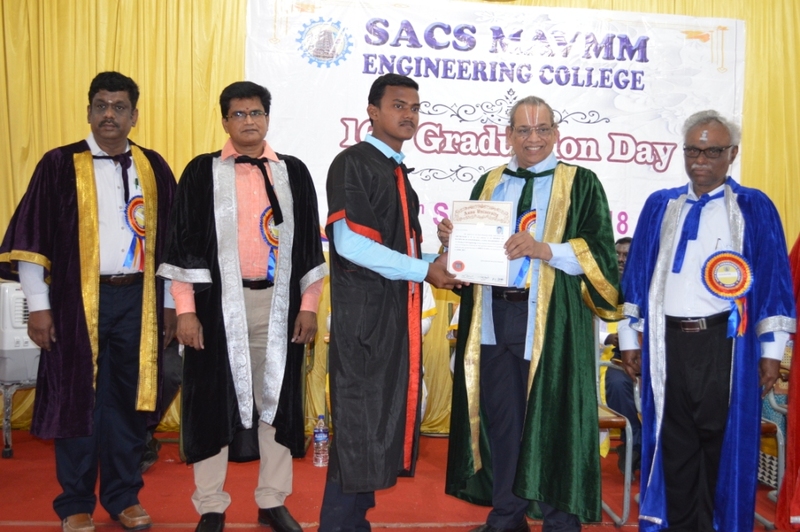 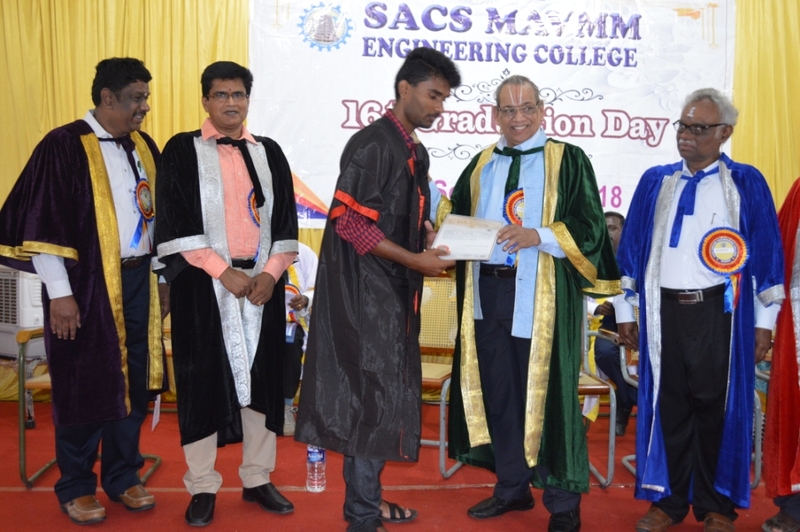 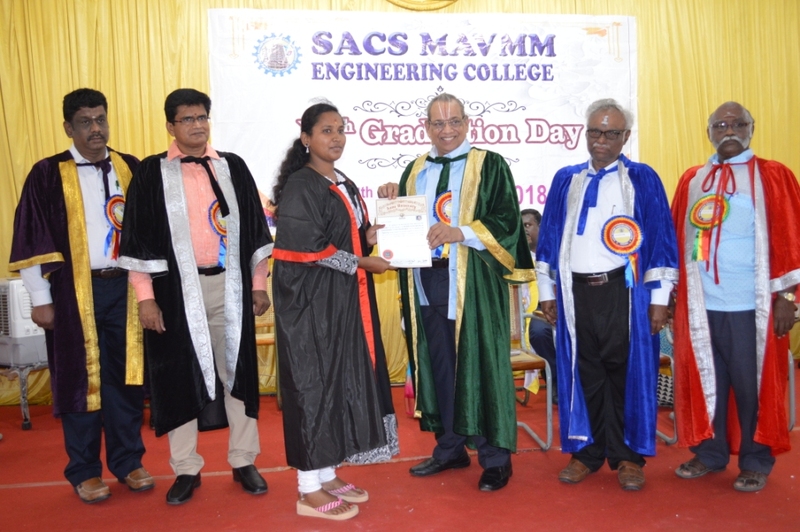 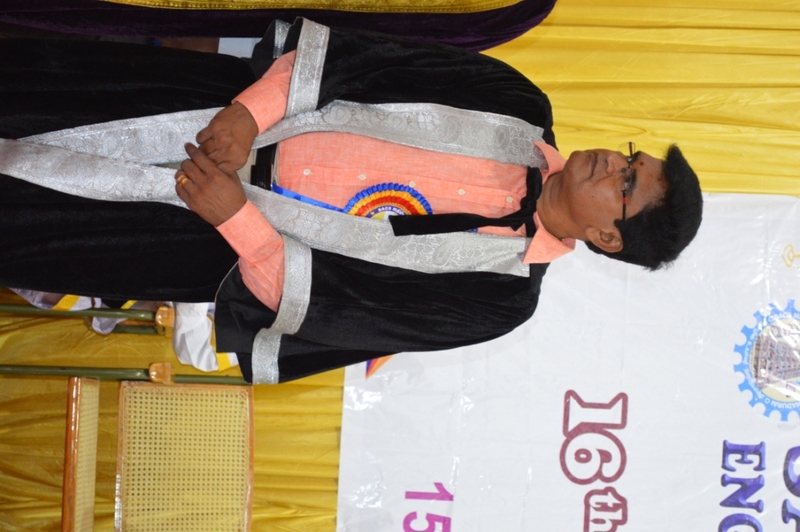 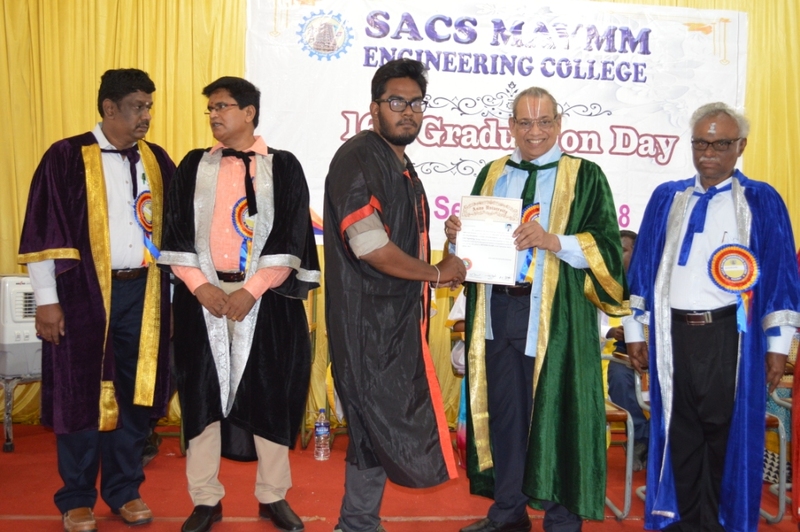 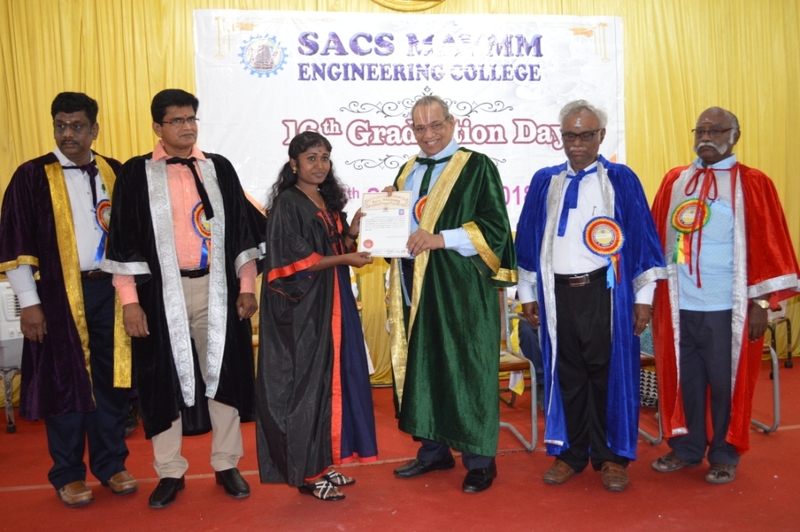 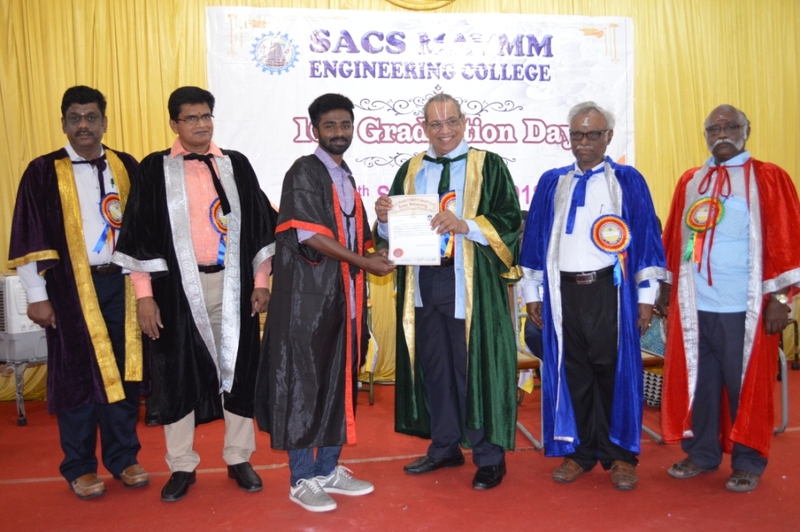 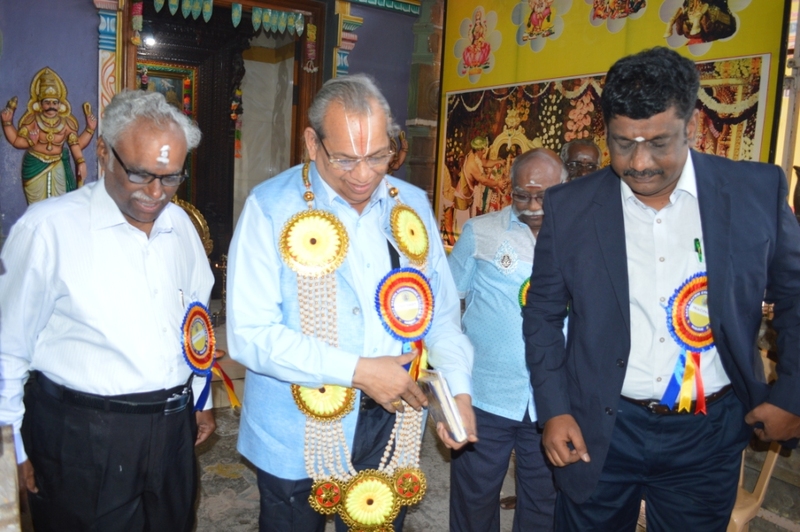 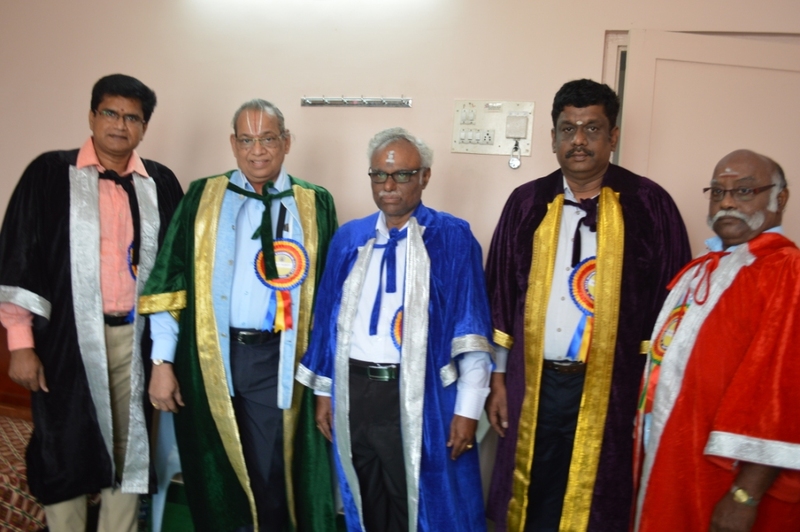 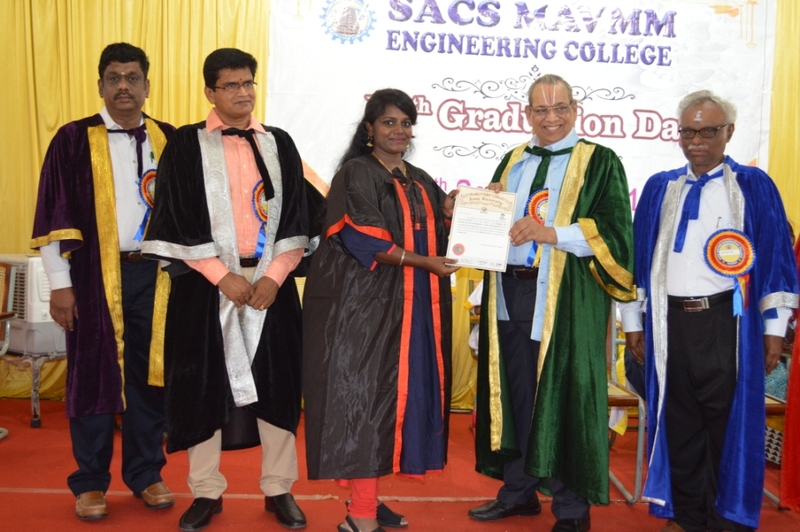 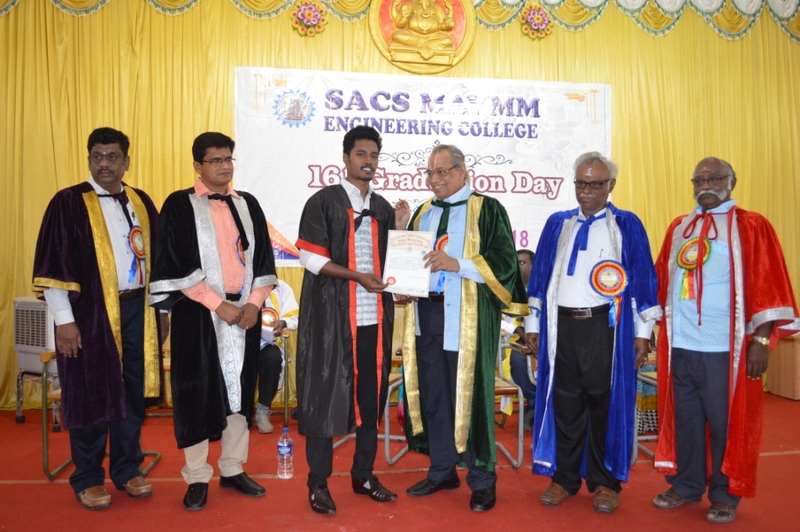 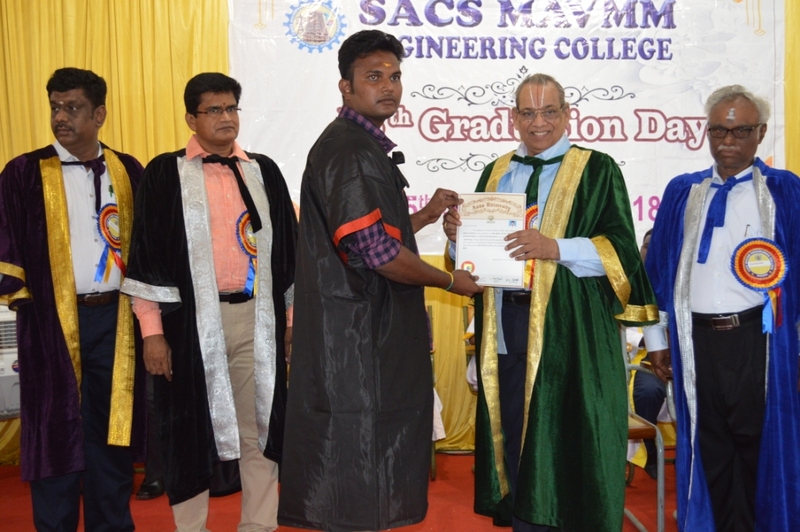 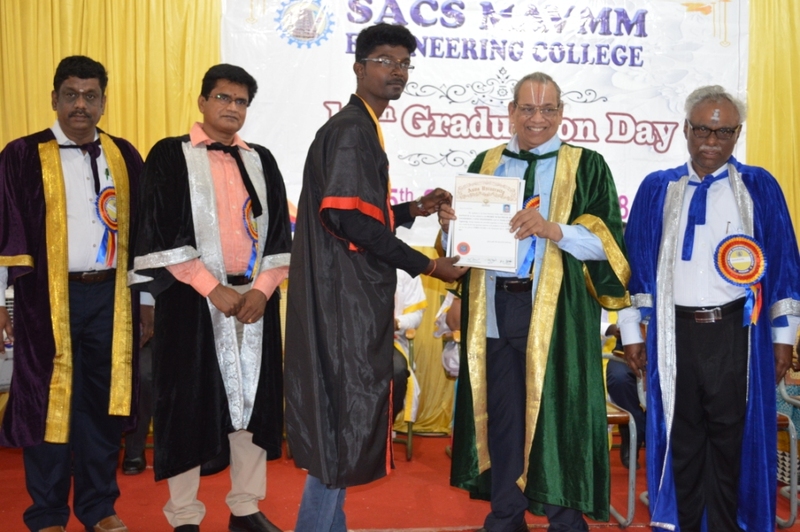 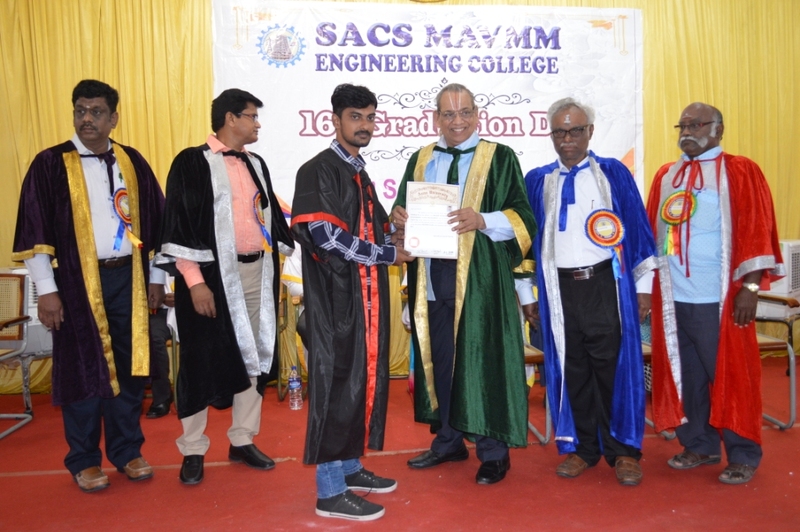 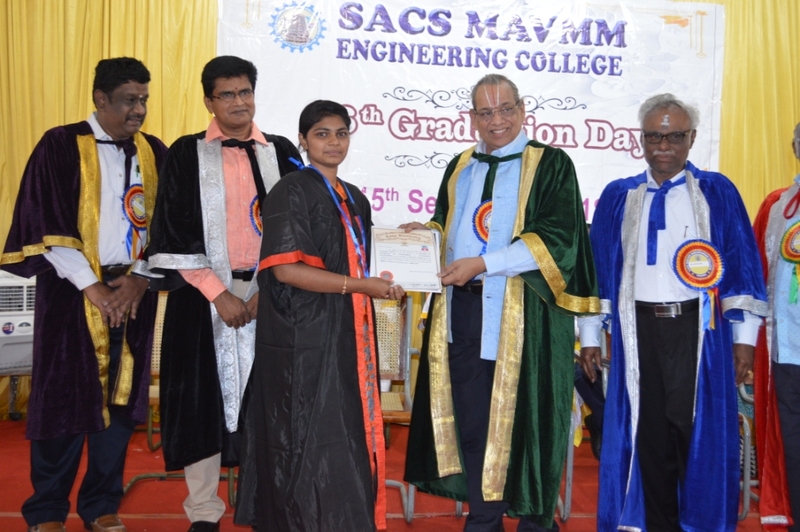 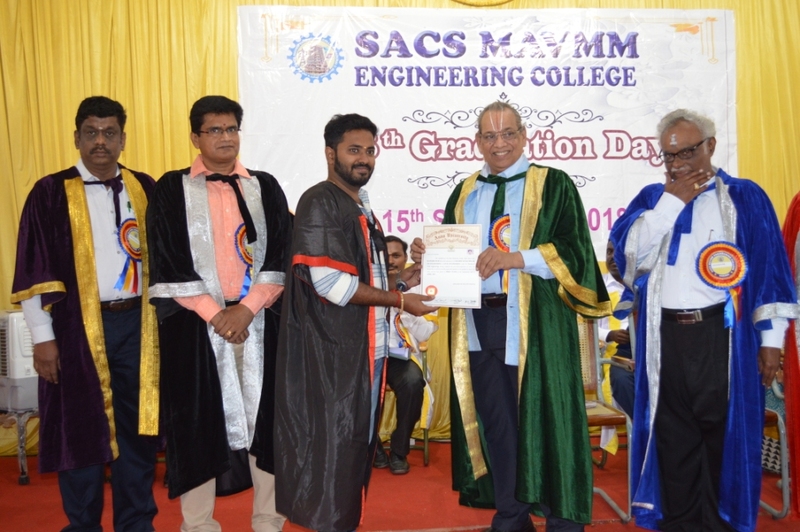 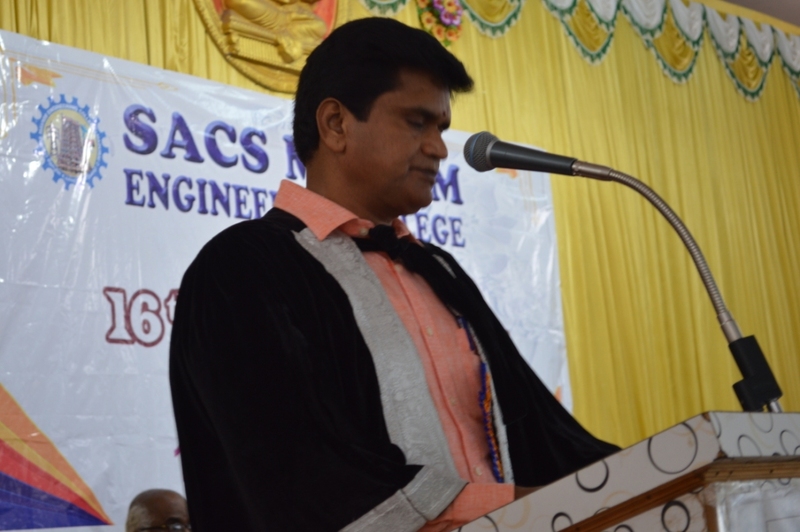 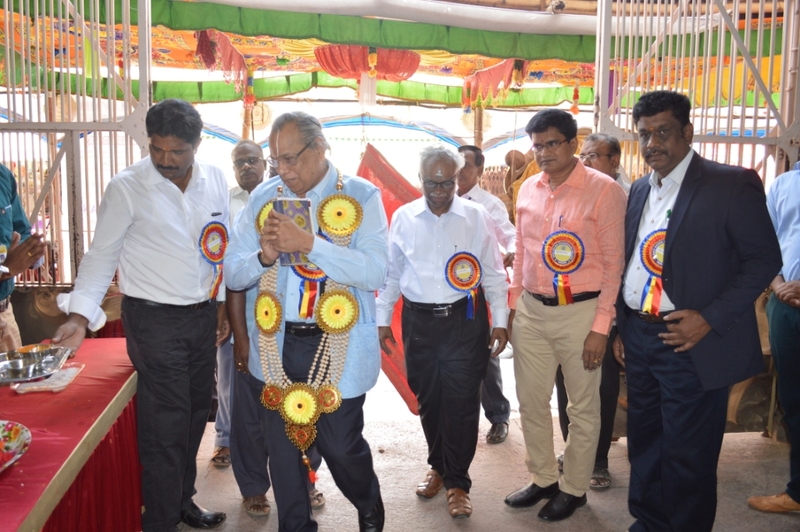 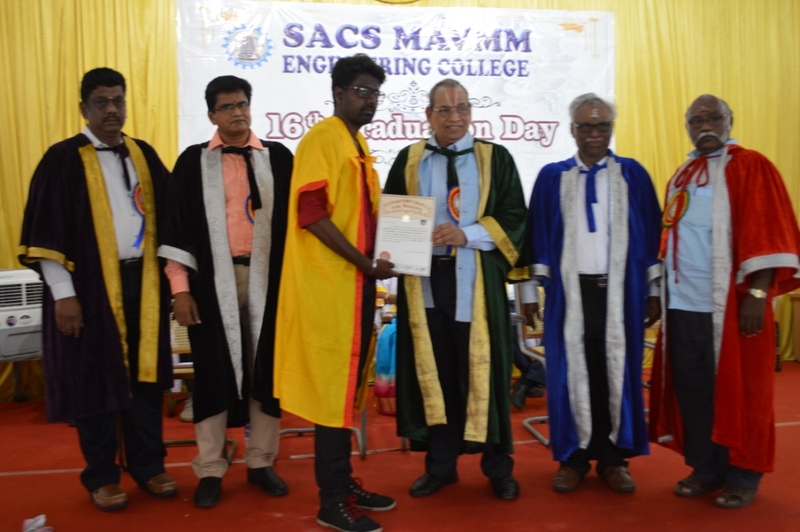 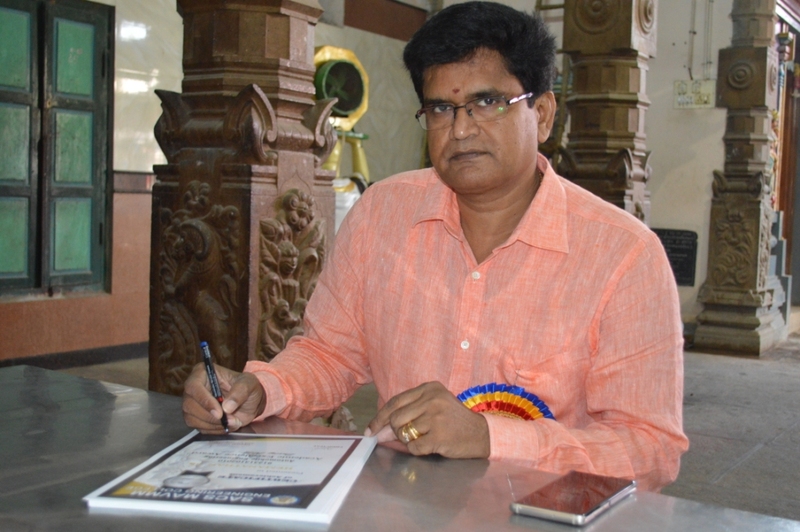 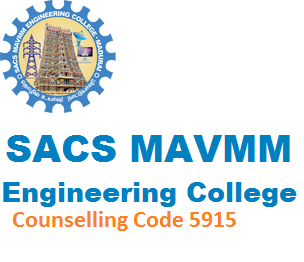 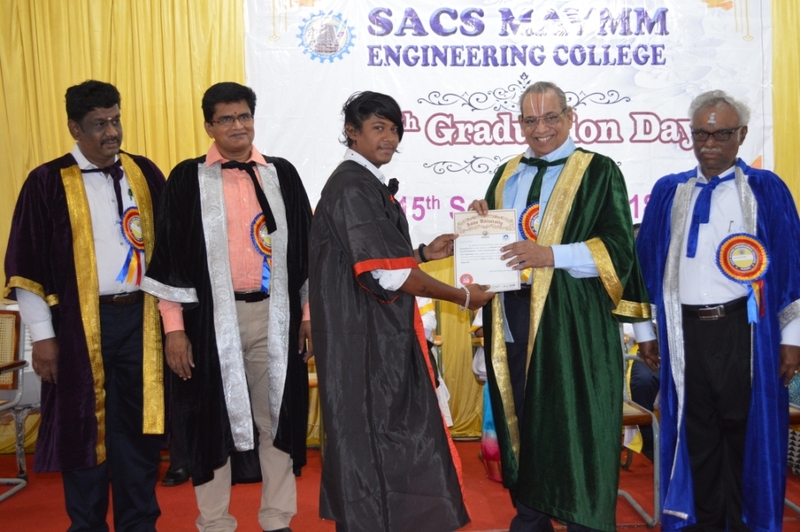 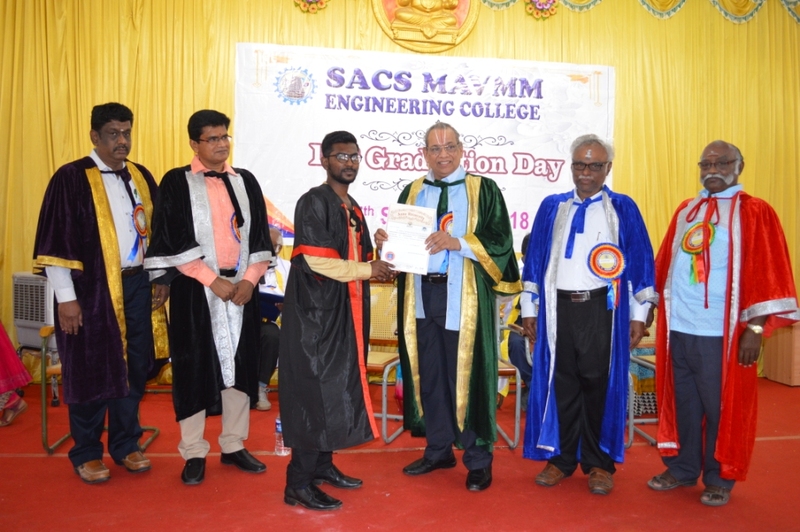 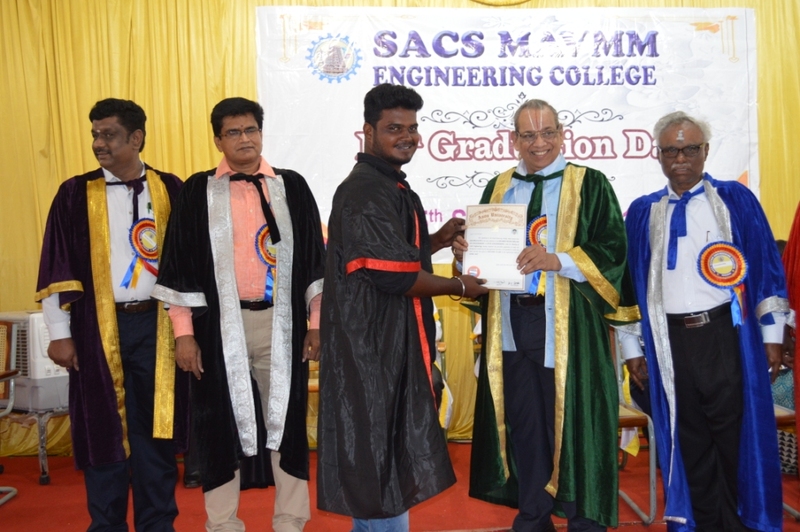 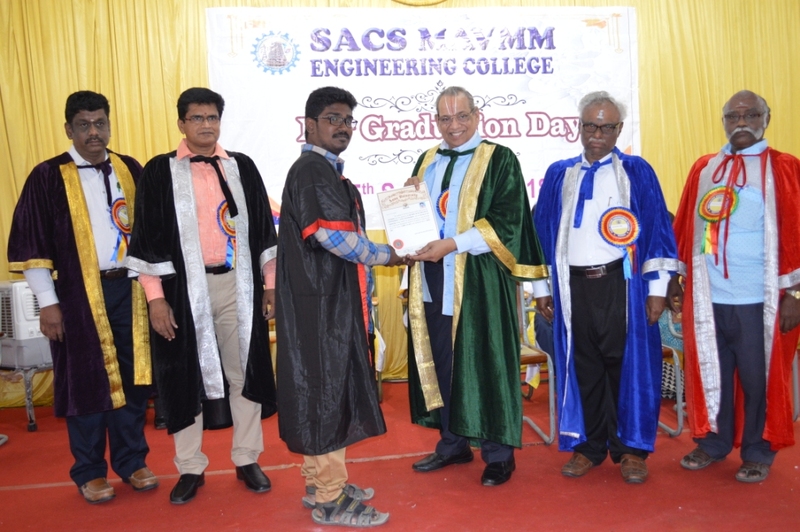 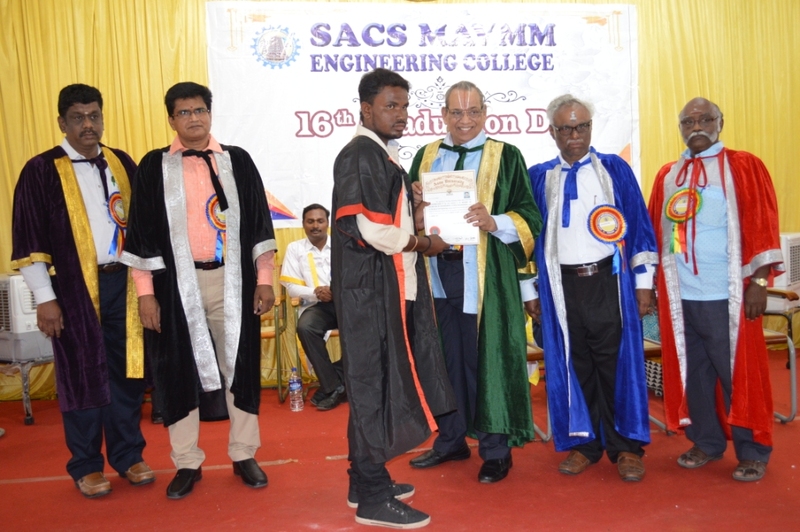 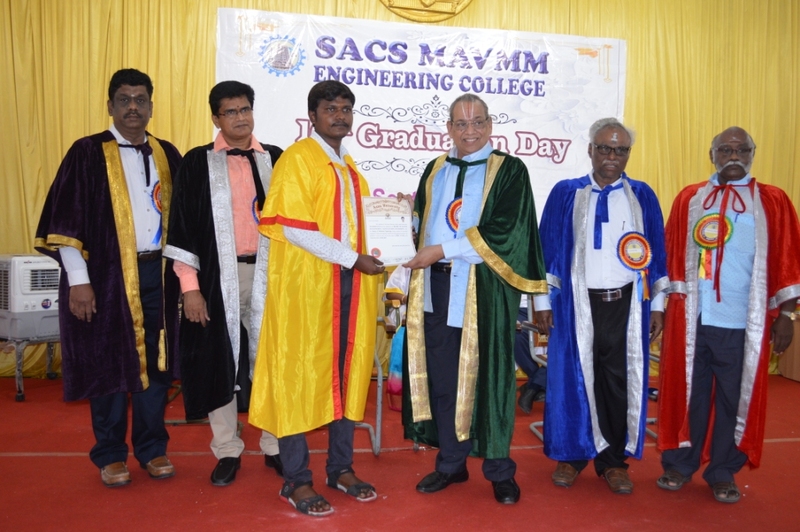 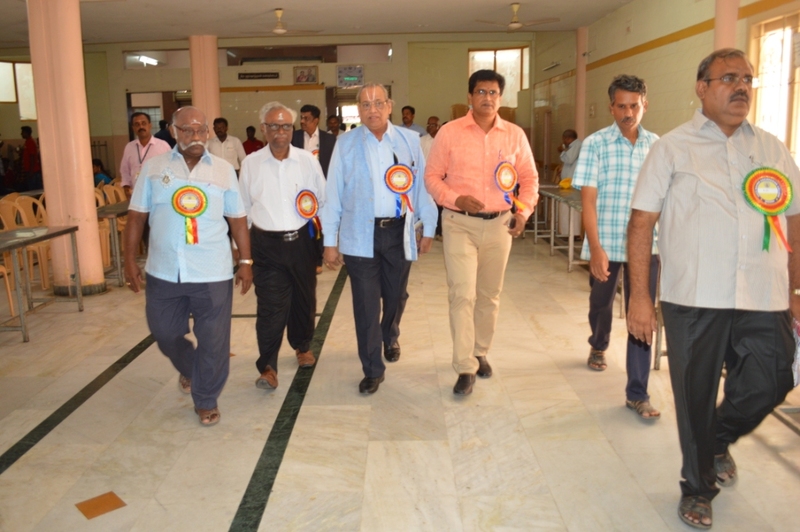 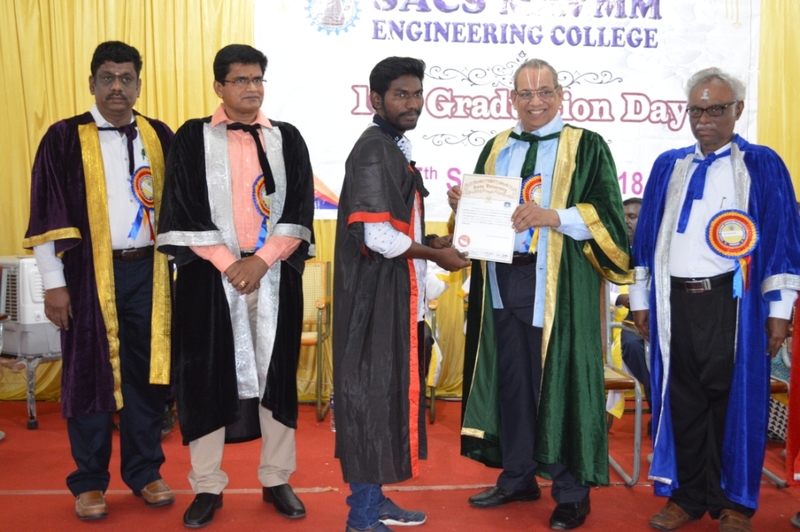 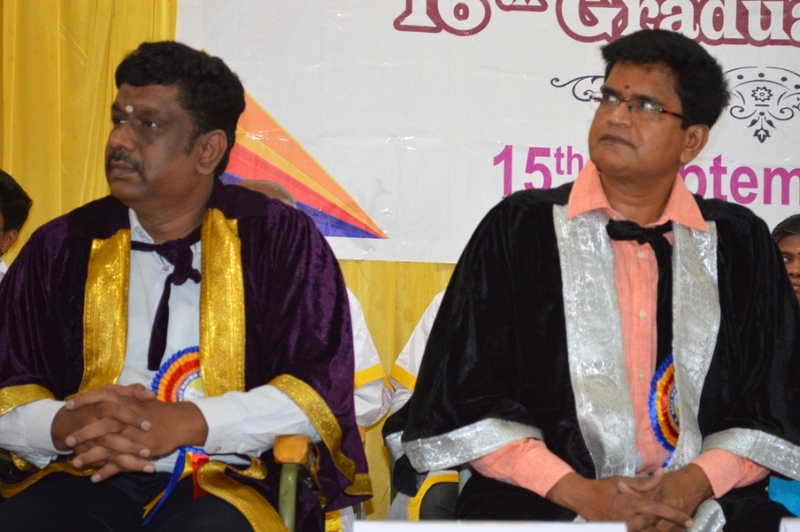 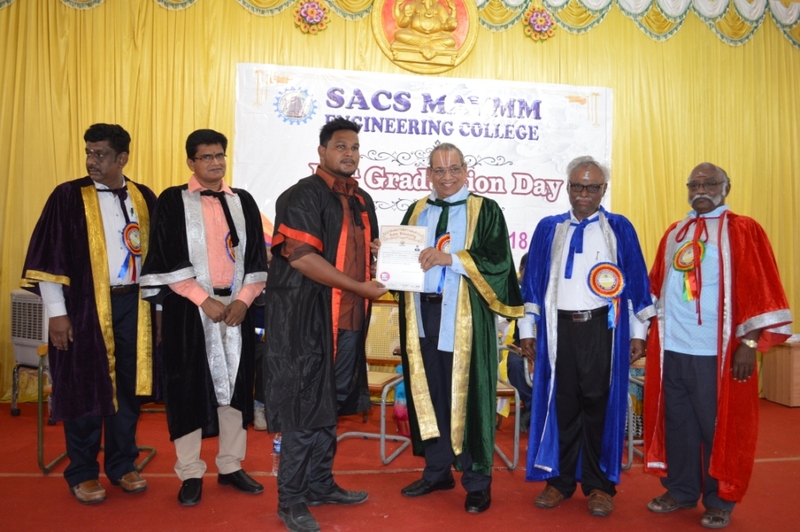 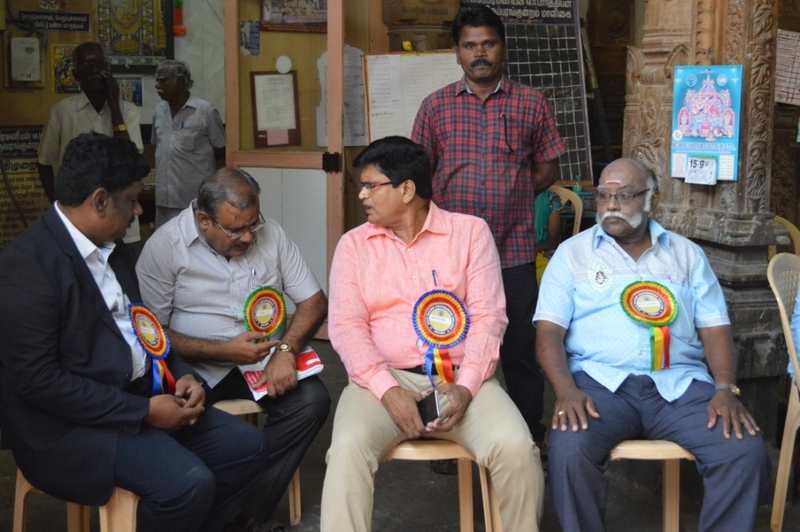 Our SACS MAVMM Engineering College 16th graduation function was conducted & celebrated in a grand manner on 15/09/2018. 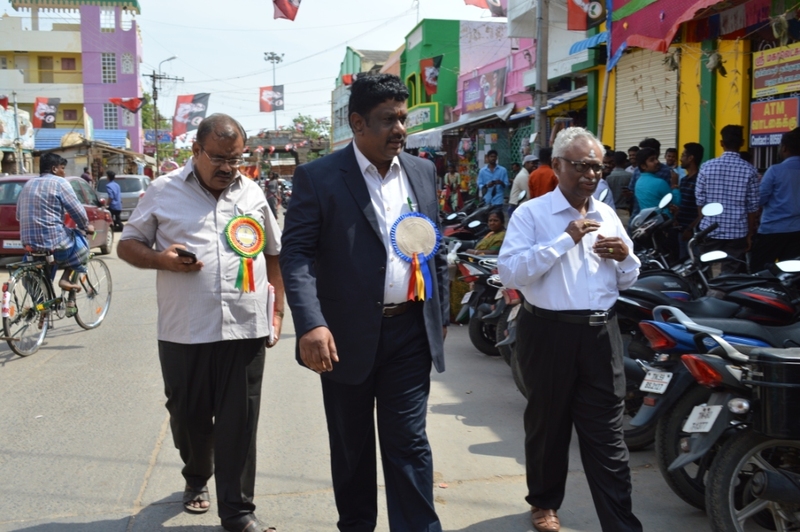 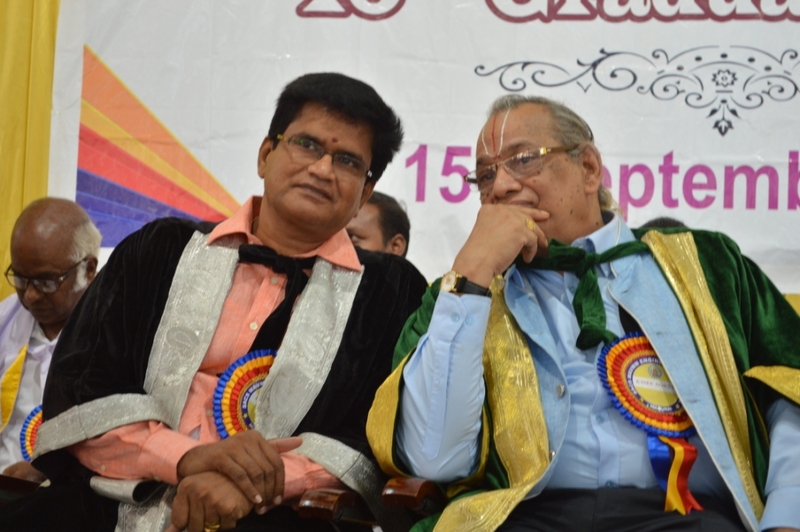 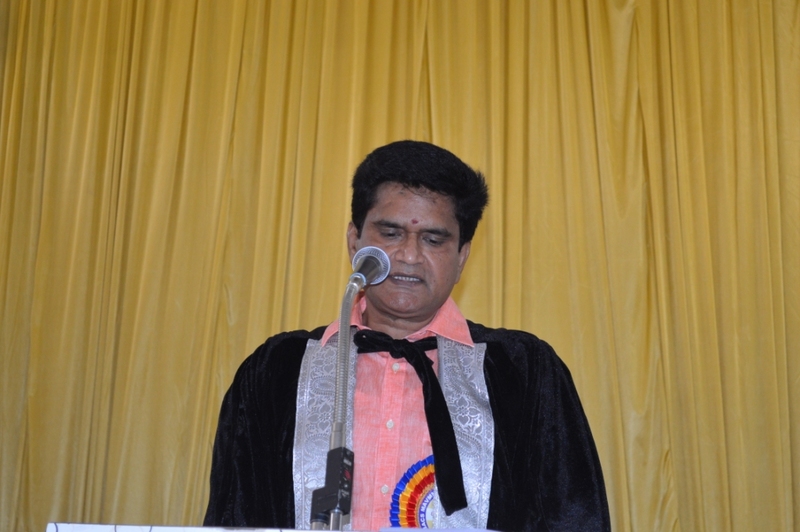 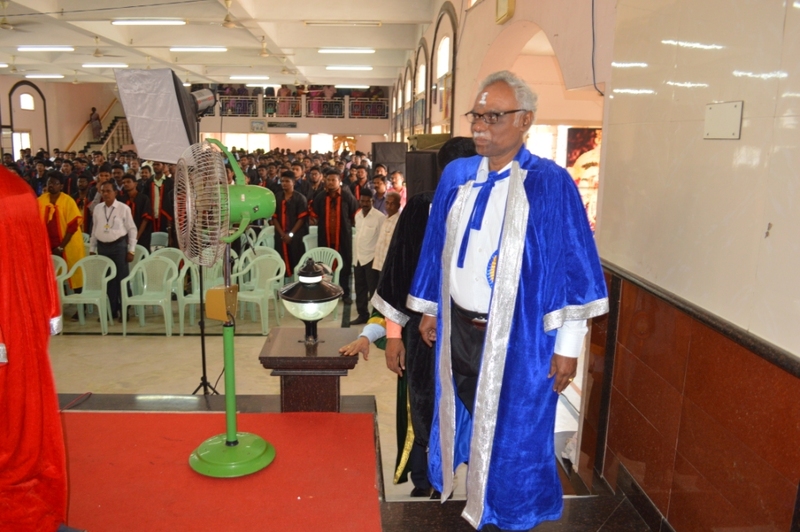 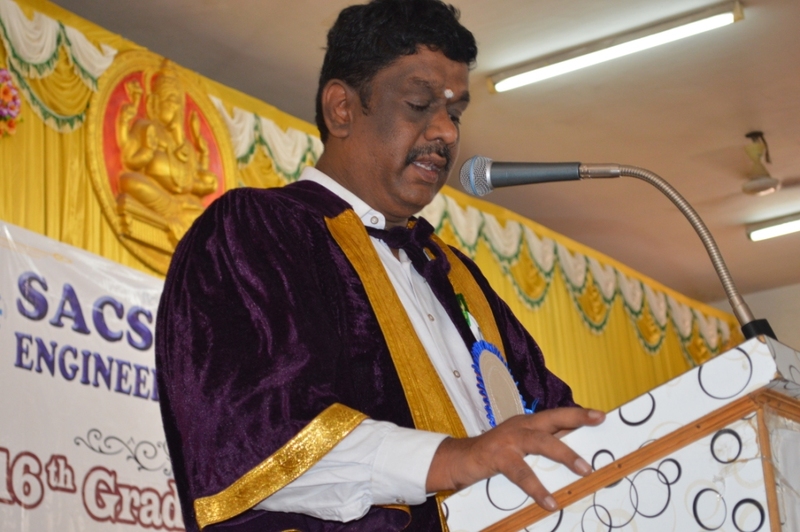 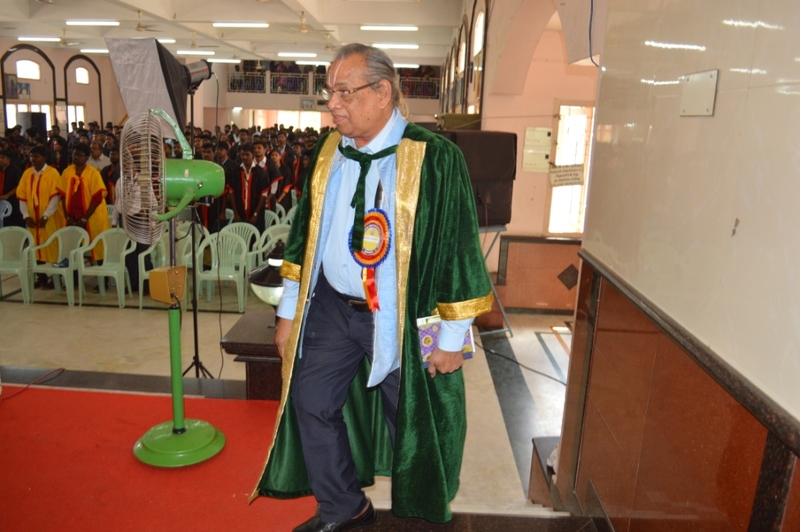 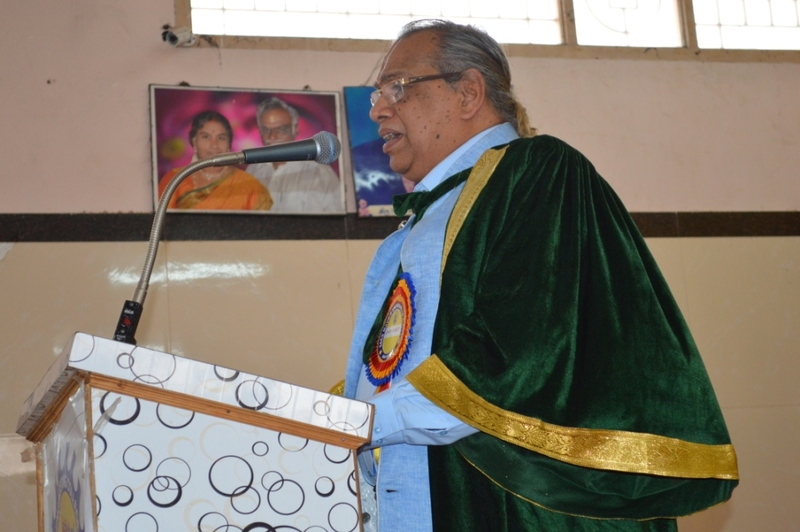 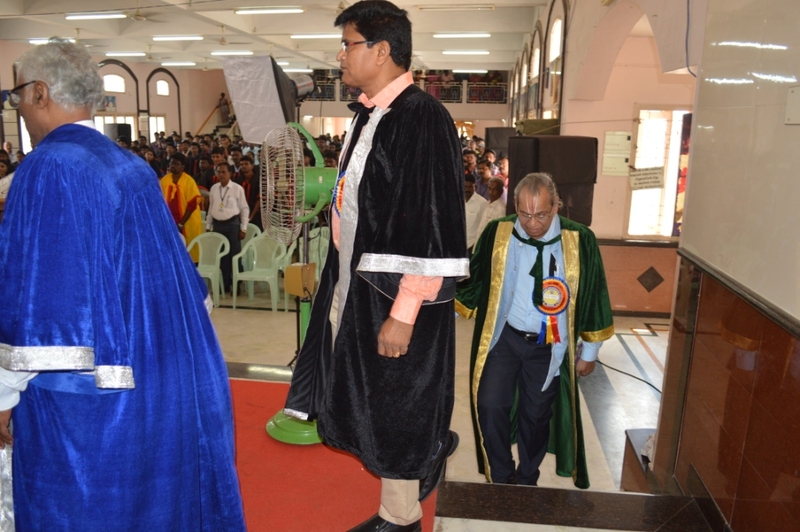 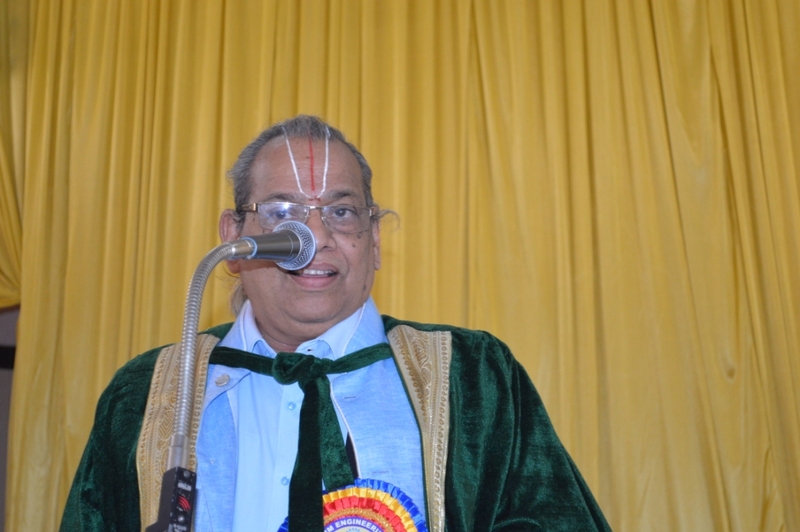 Our secretary & correspondent shri G.Ganesan delivered the welcome address, Padma shri Dr.R.Vasudevan delivered the graduation address, our chairman shri Baskaran(VKP) presided the function and wished the graduates success in all their carrier, the 225 of our students received the degree certificates, out of which 6 gold medals, 6 silver medals and 6 bronze medals were given. 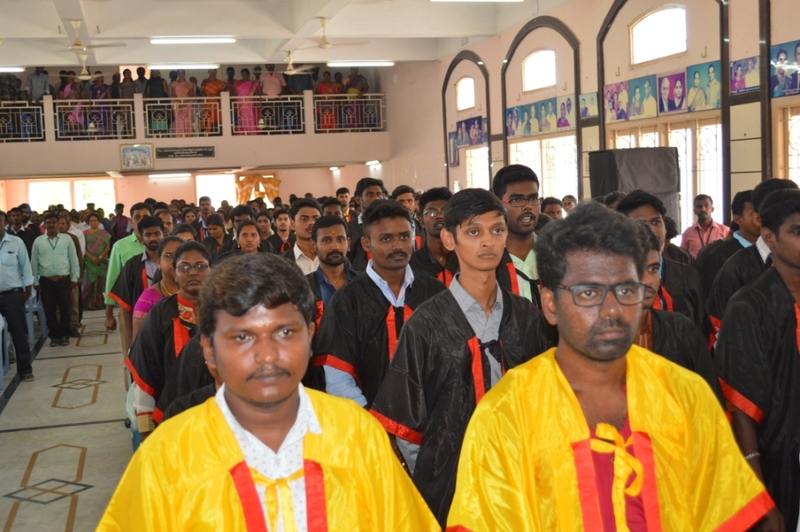 Graduates and their family participate in a large number. 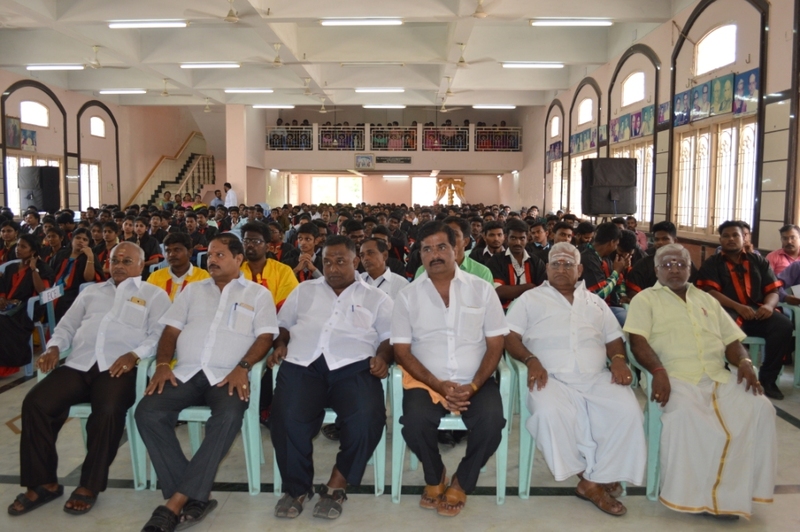 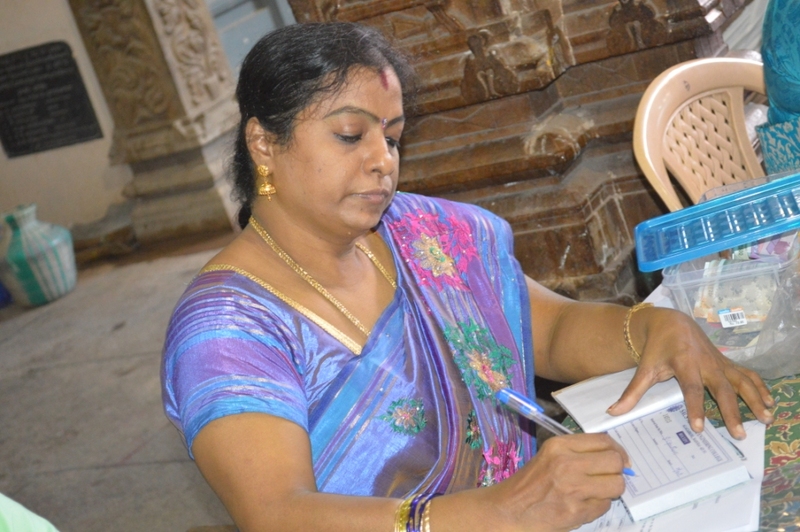 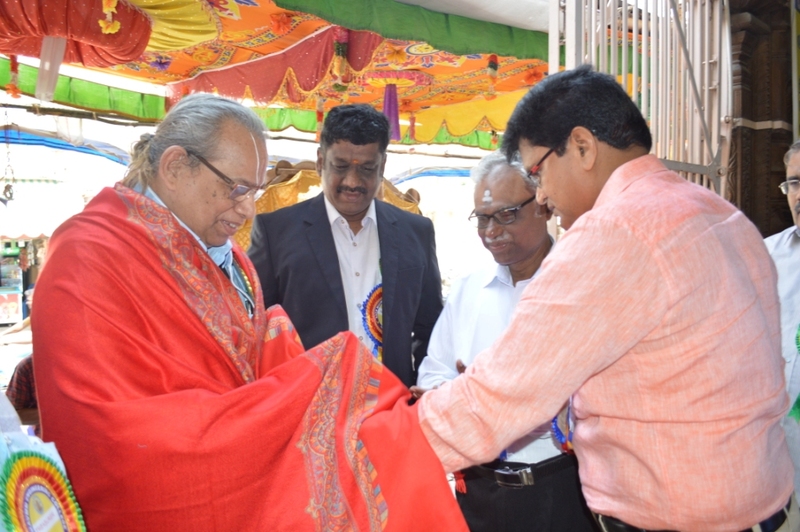 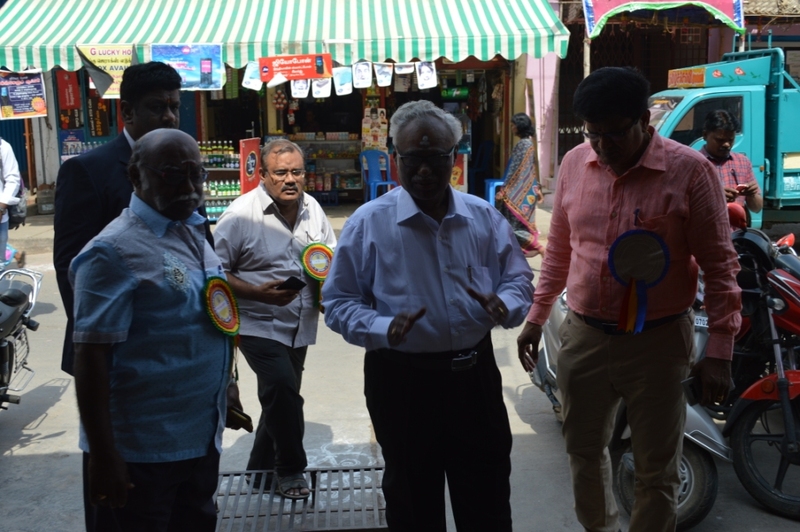 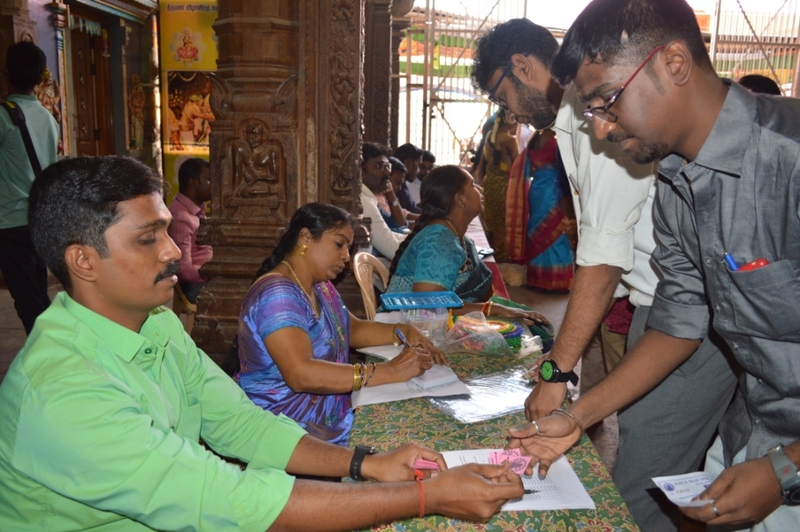 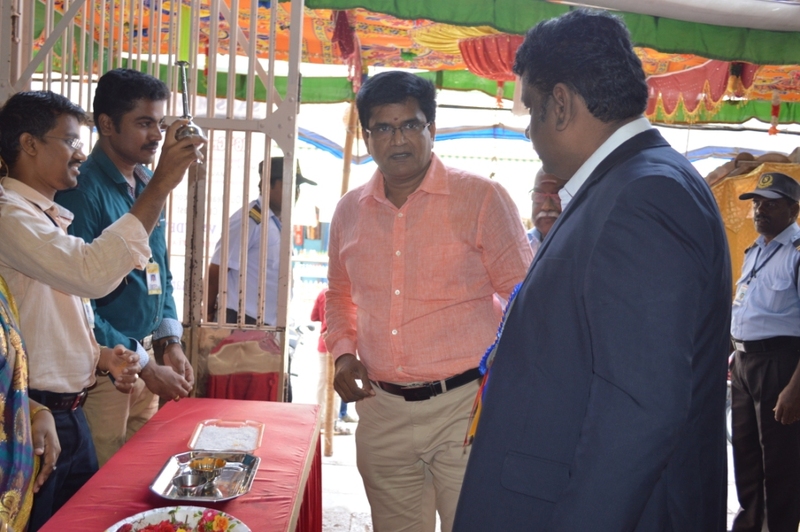 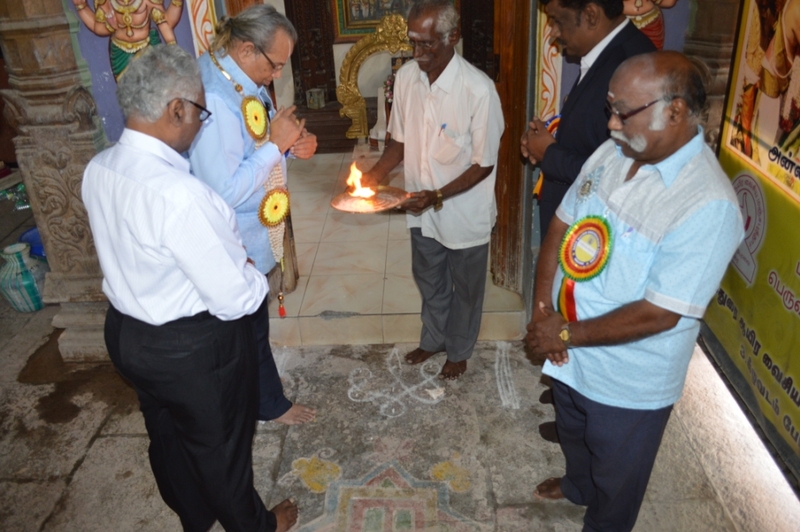 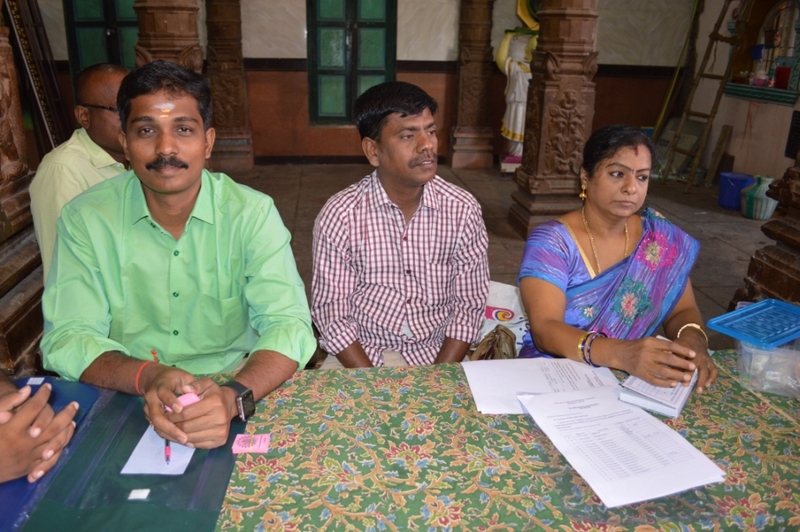 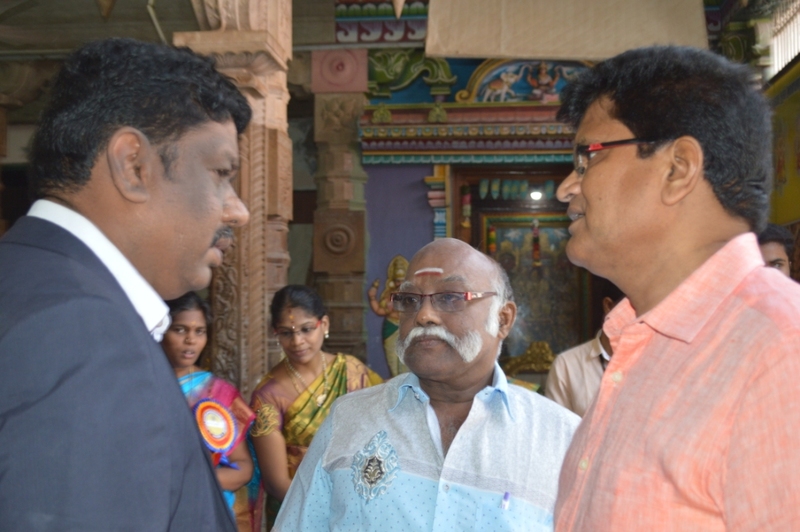 They thanked the principal and faculty for the excellent arrangements.